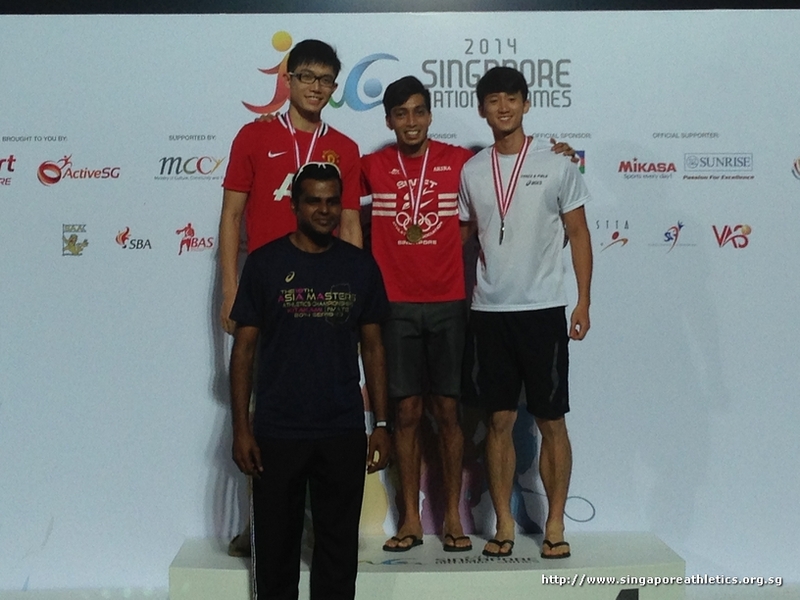 Accurate as of 2 Nov.
Khan Meng Linn leads the men open long jump with 6.77m. 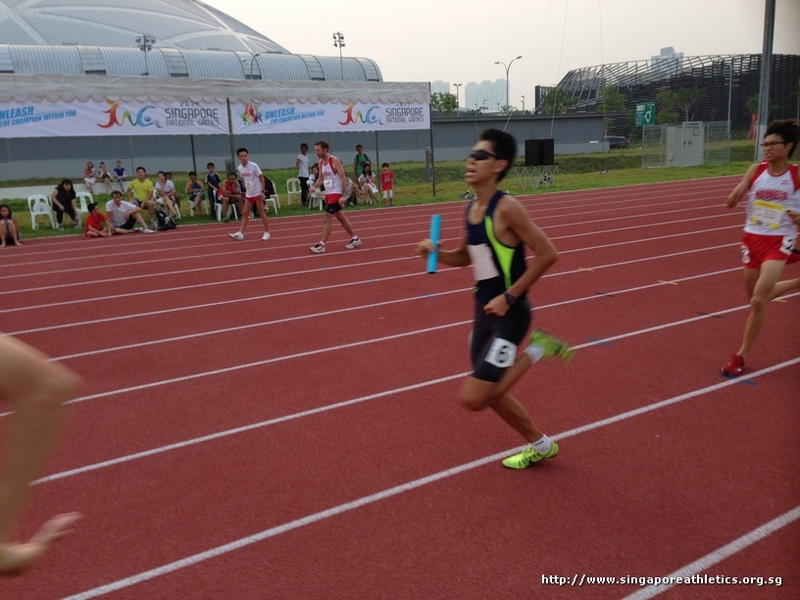 Men junior 200m has been flagged off. 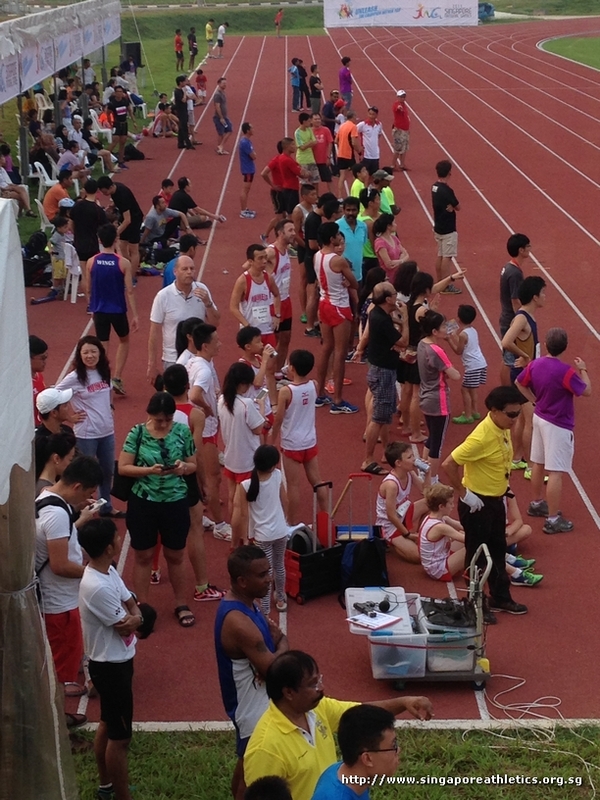 Women high jump open ongoing. 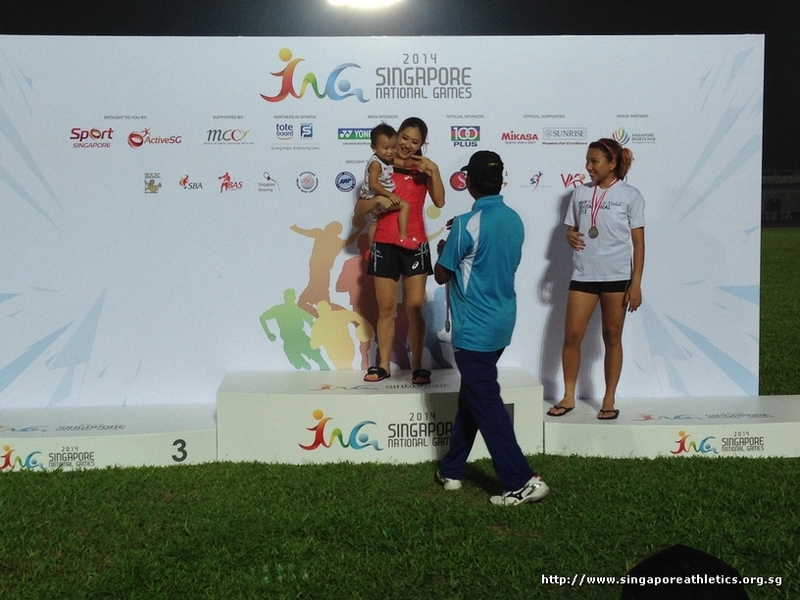 Fatima Zahra of Central clears 1.46m on her 2nd attempt. 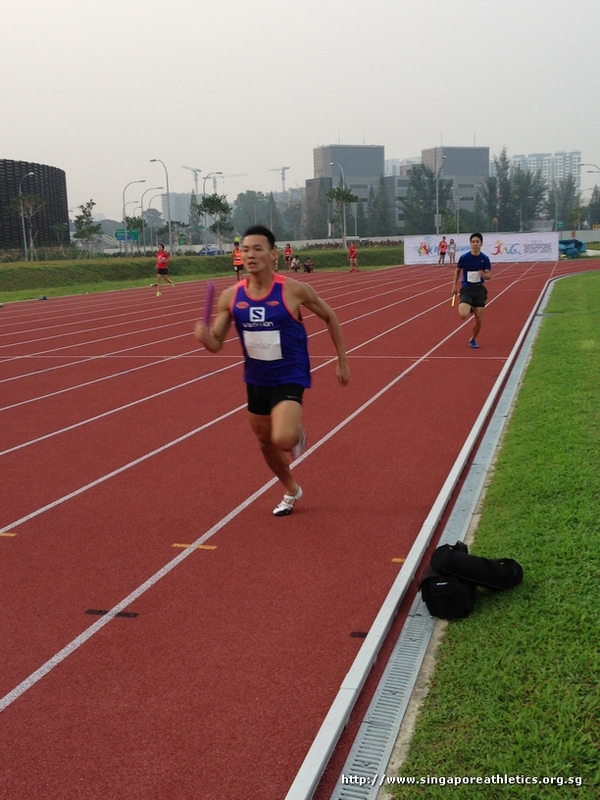 Teo Hui Juen of East leads the women javelin open event with 35.47m. 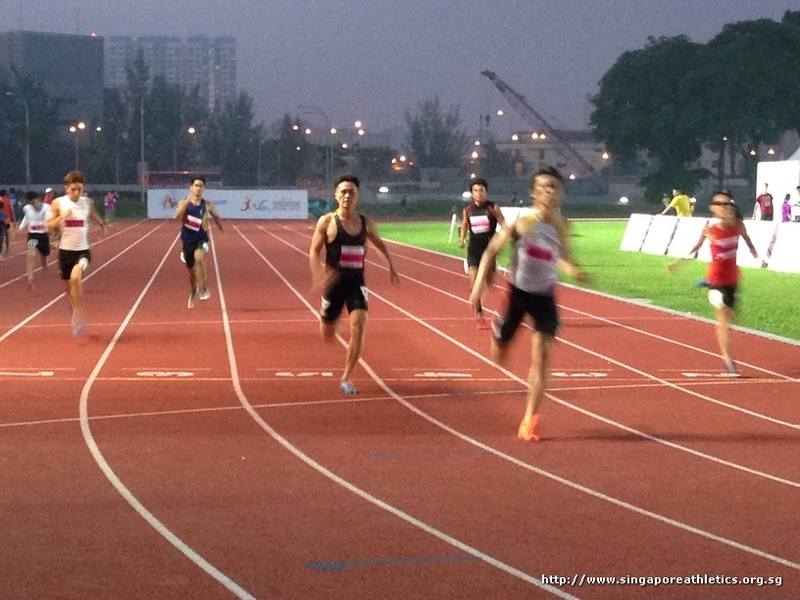 Men 200m open heats has been flagged off. 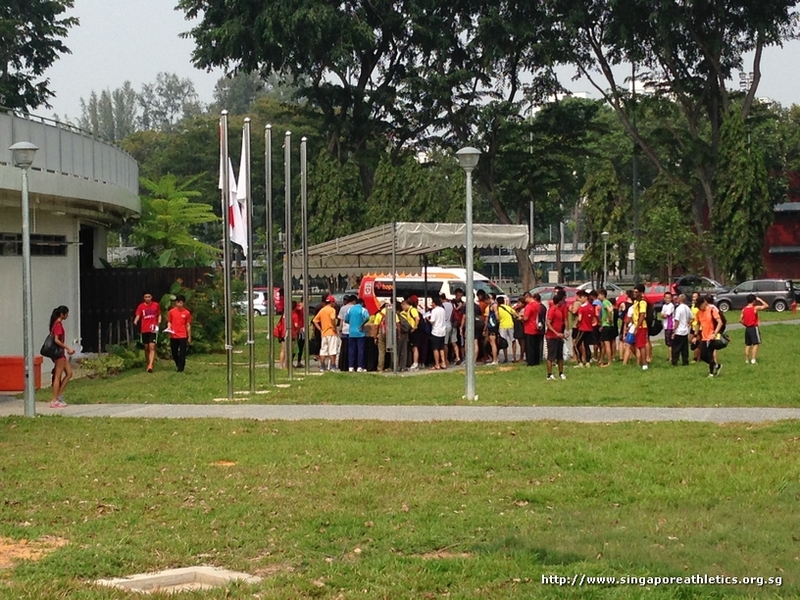 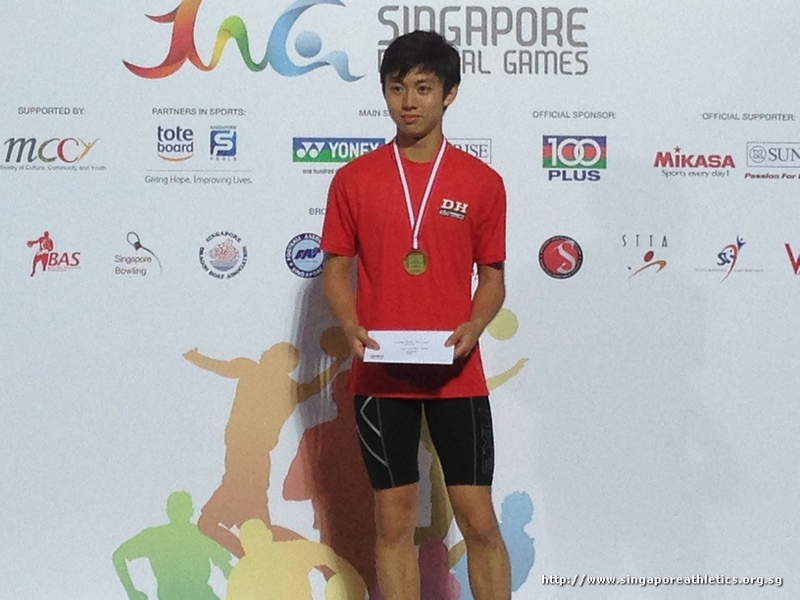 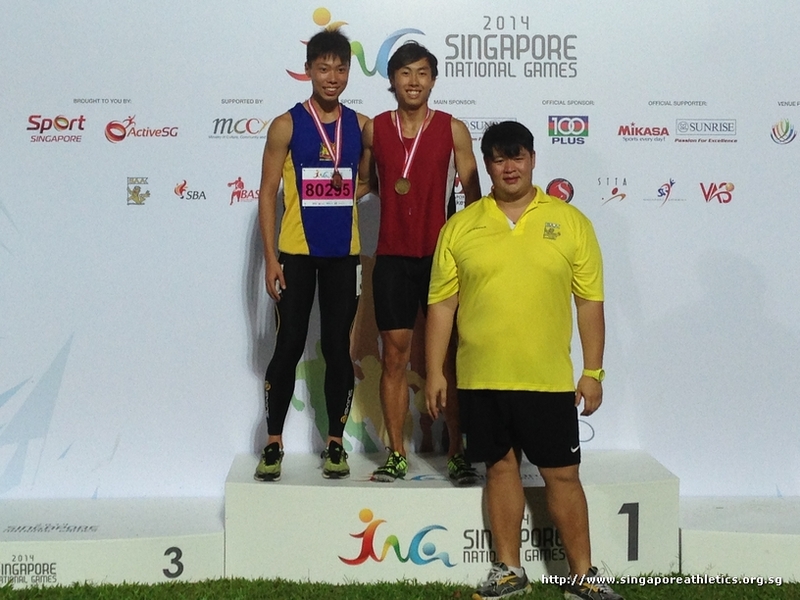 Meng Choon Soon of North is in second place of men long jump open with 6.40m. 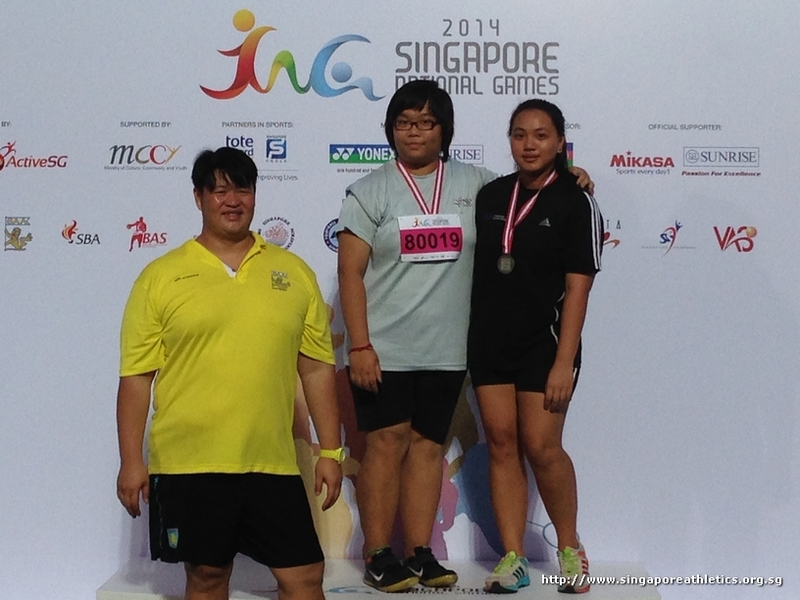 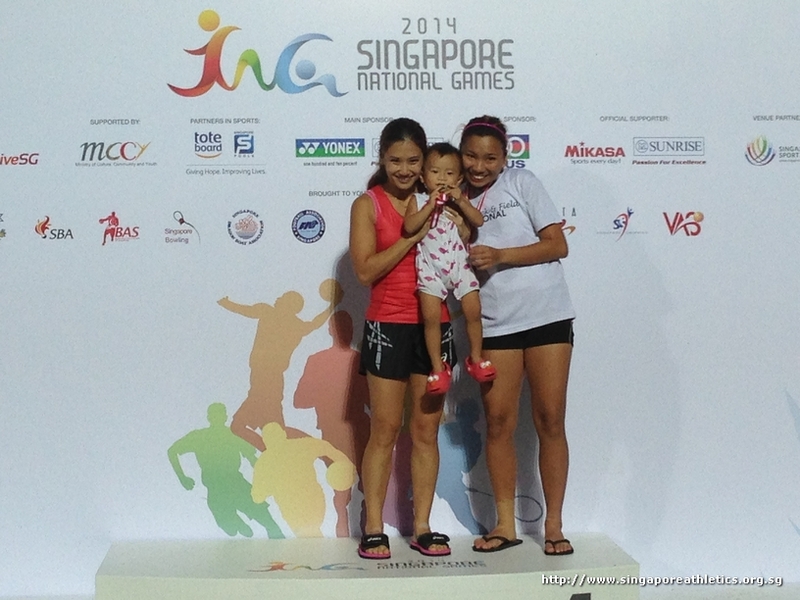 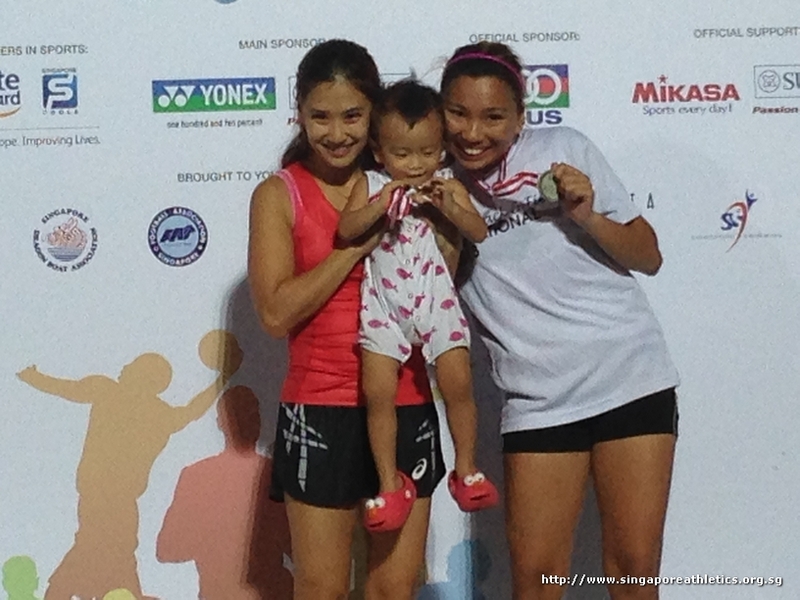 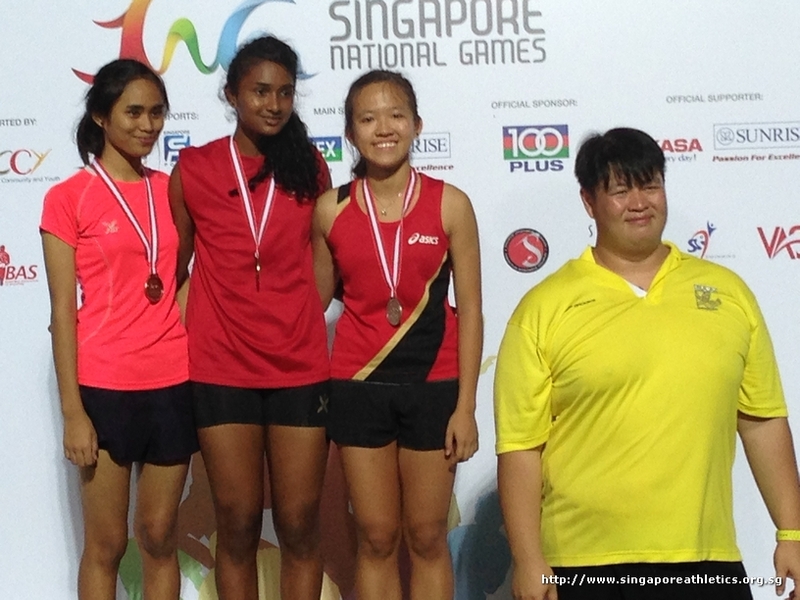 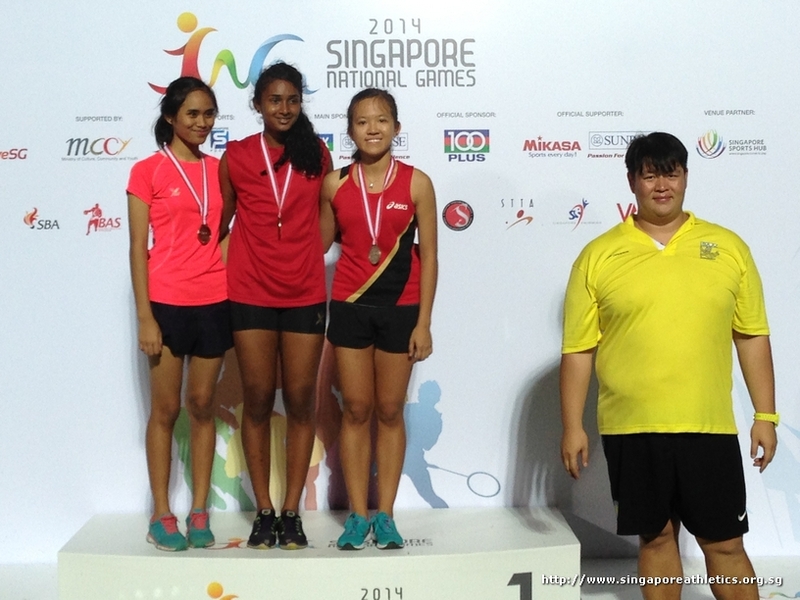 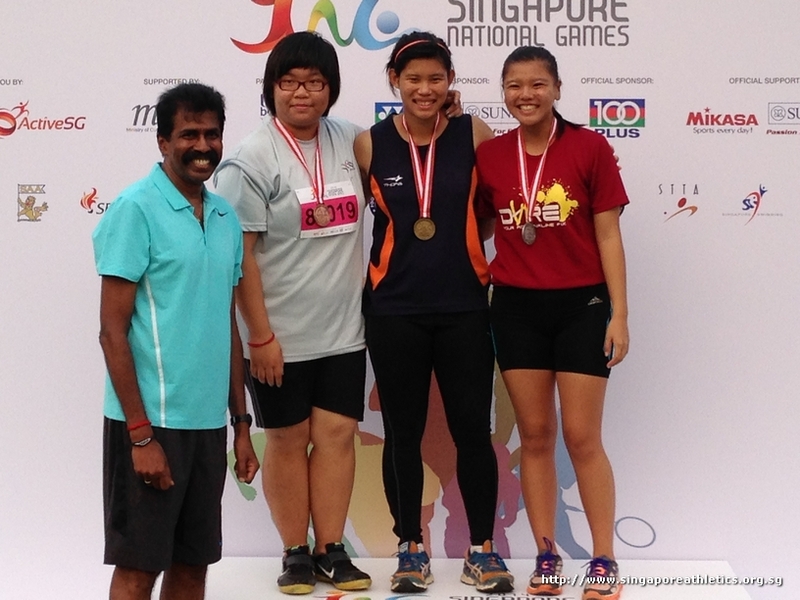 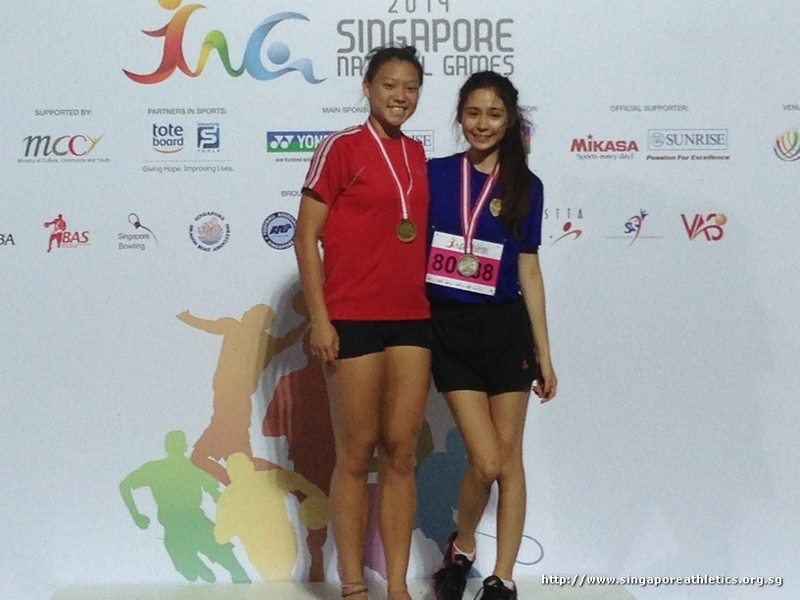 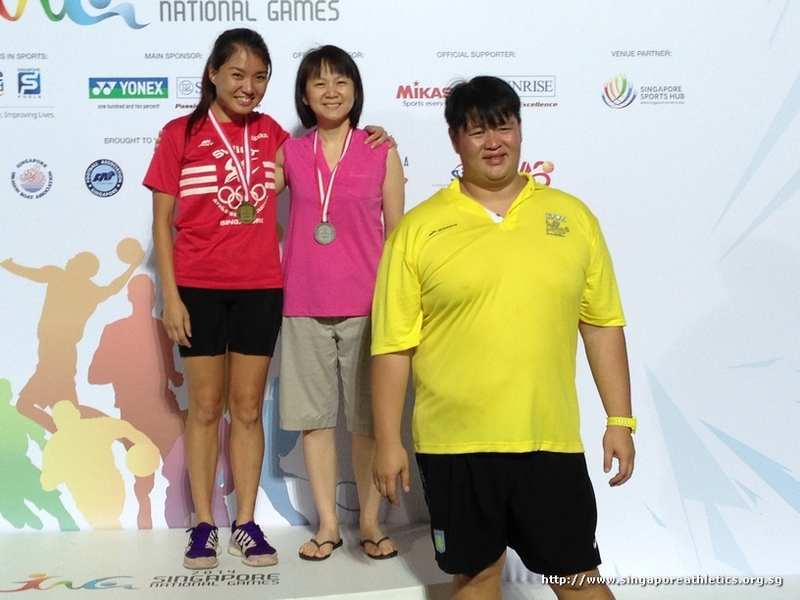 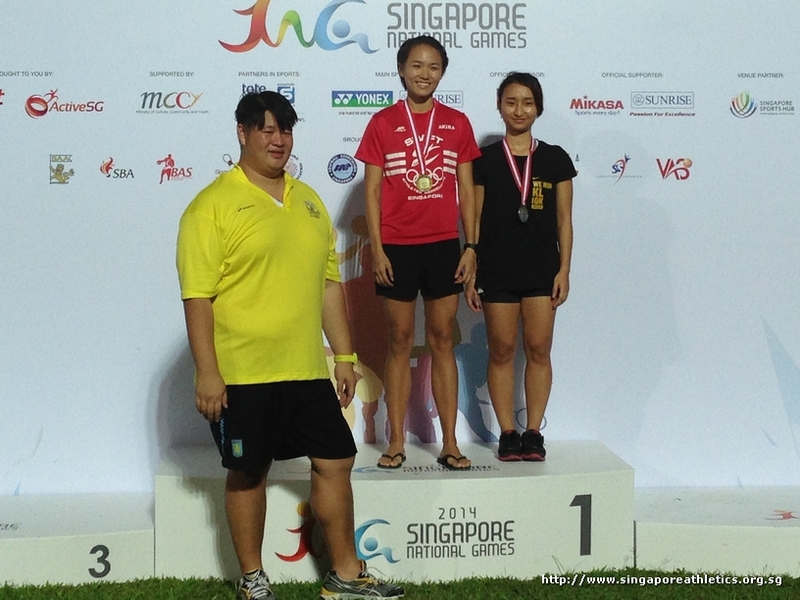 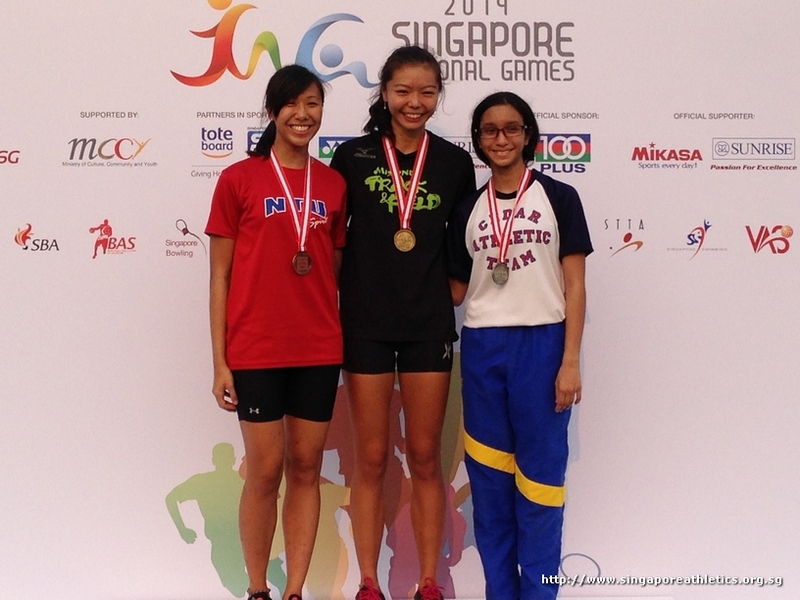 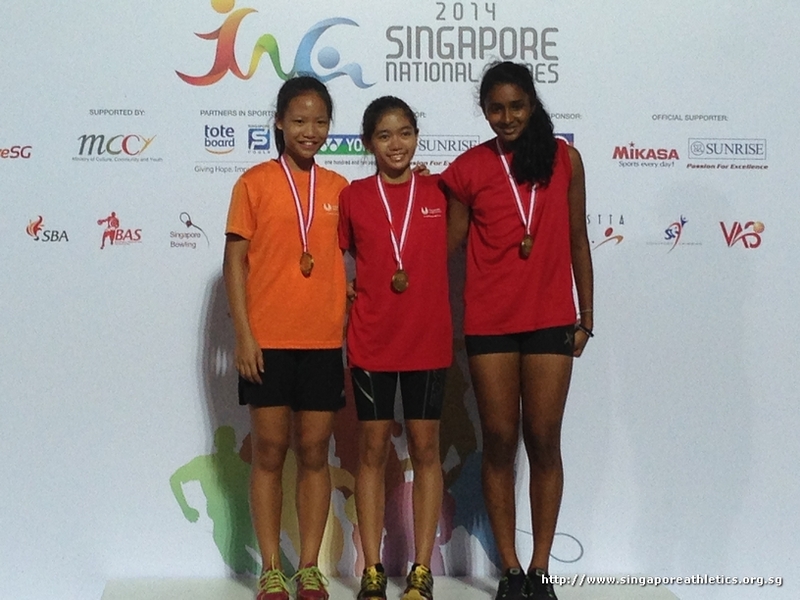 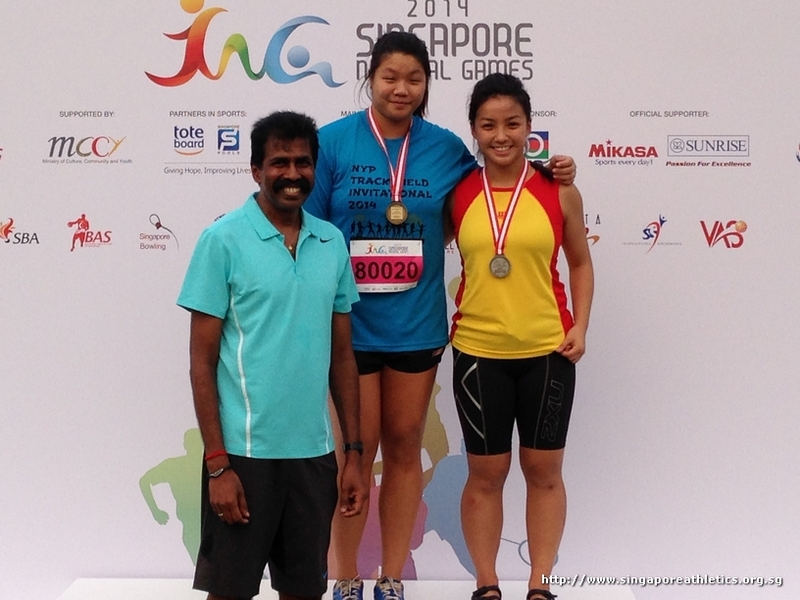 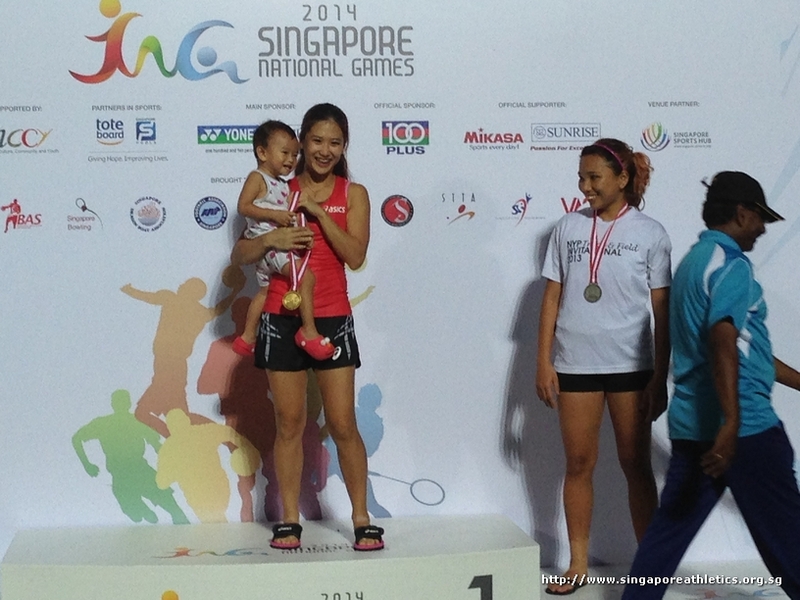 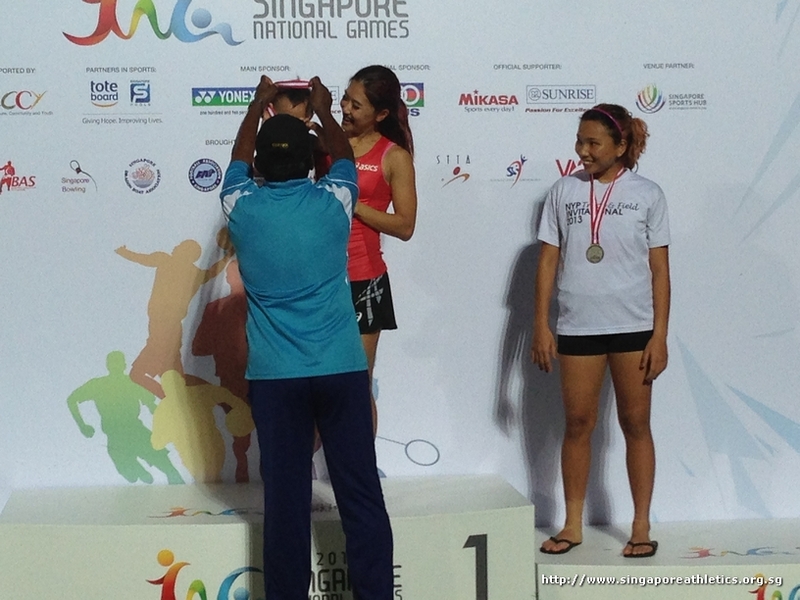 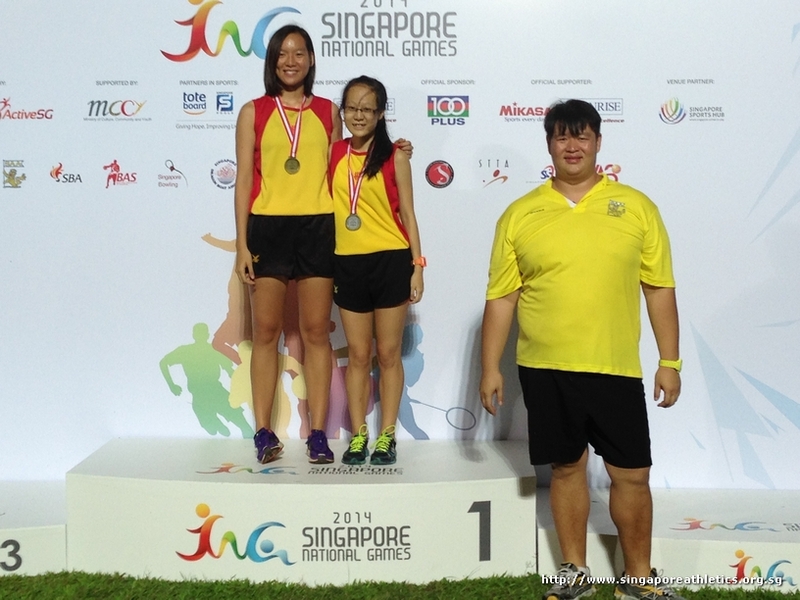 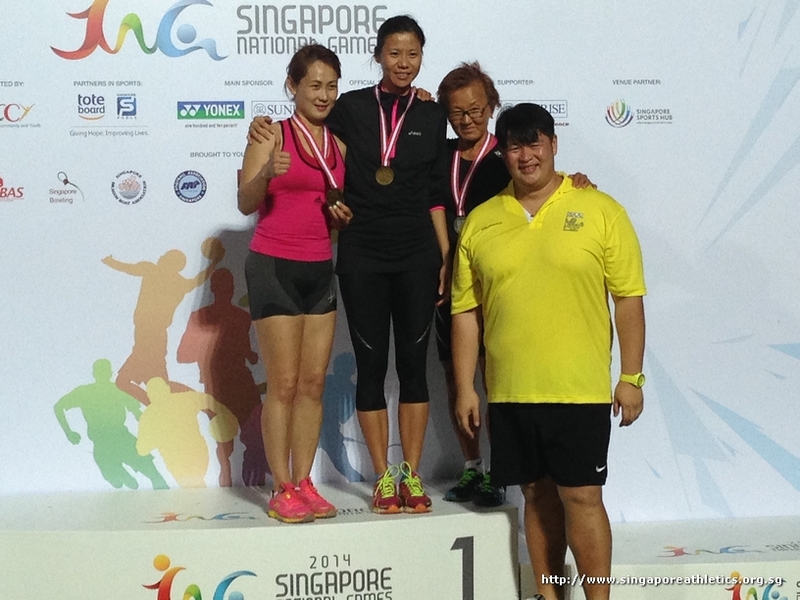 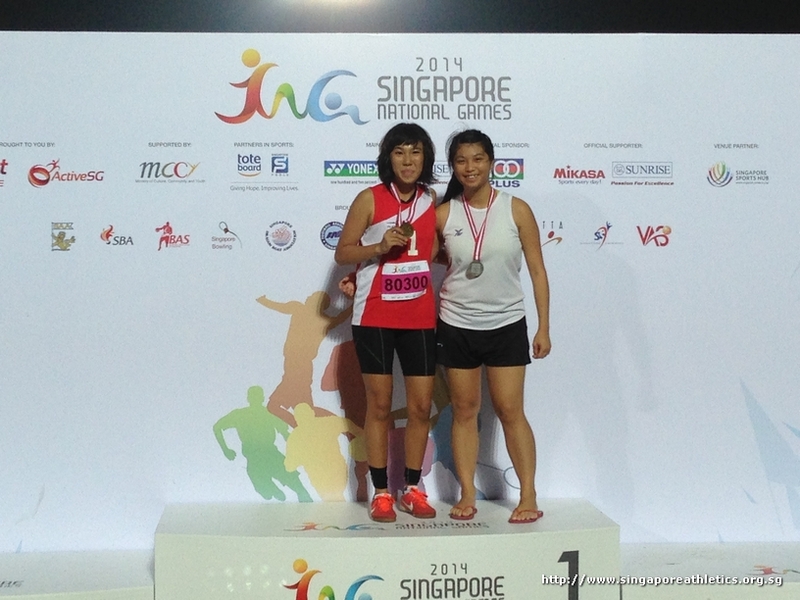 Michelle Sng wins gold for Central in the women high jump event with a brilliant 1.78m jump. 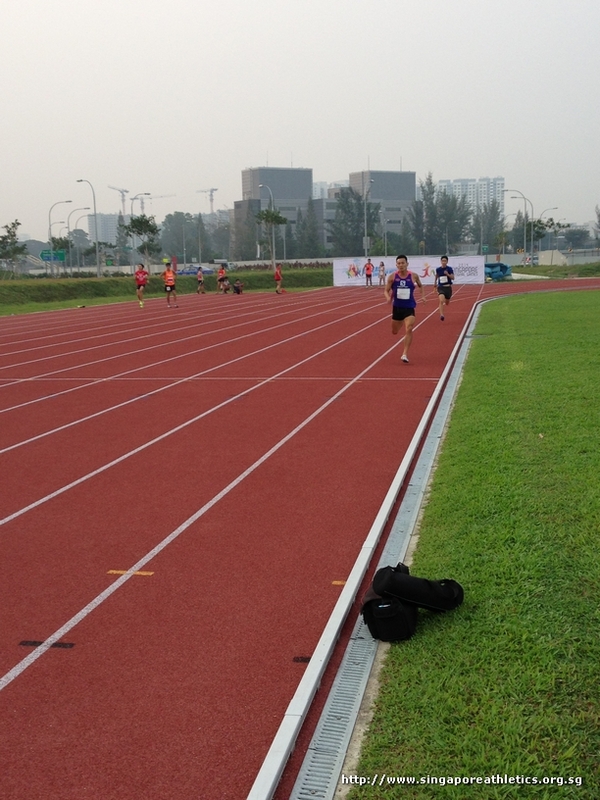 Men Masters 200m heats has just been flagged off. 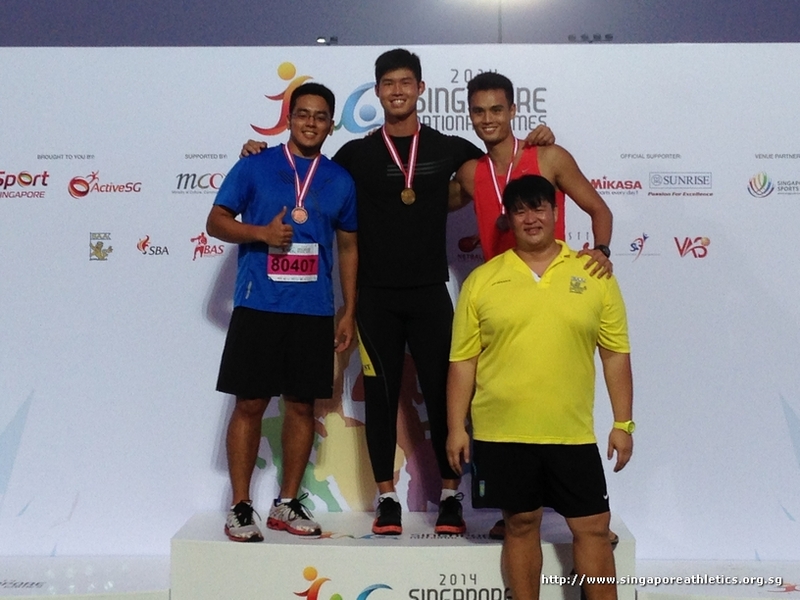 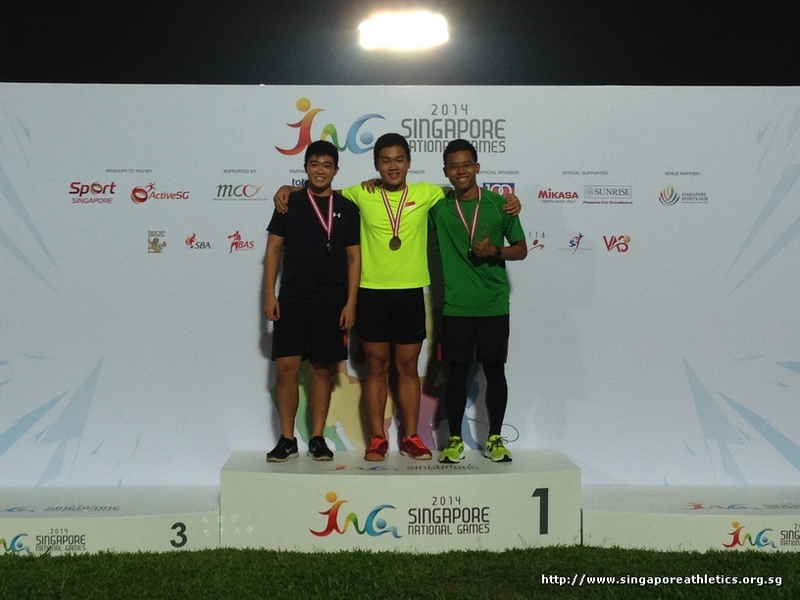 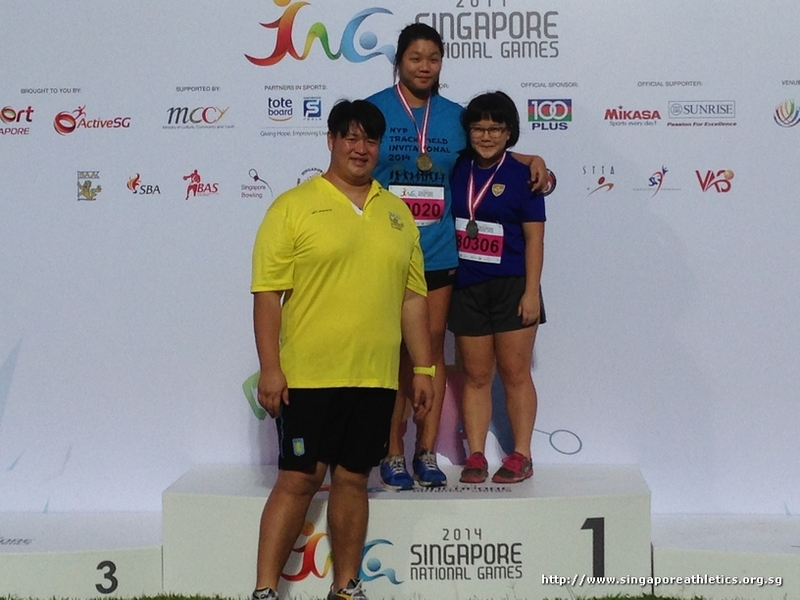 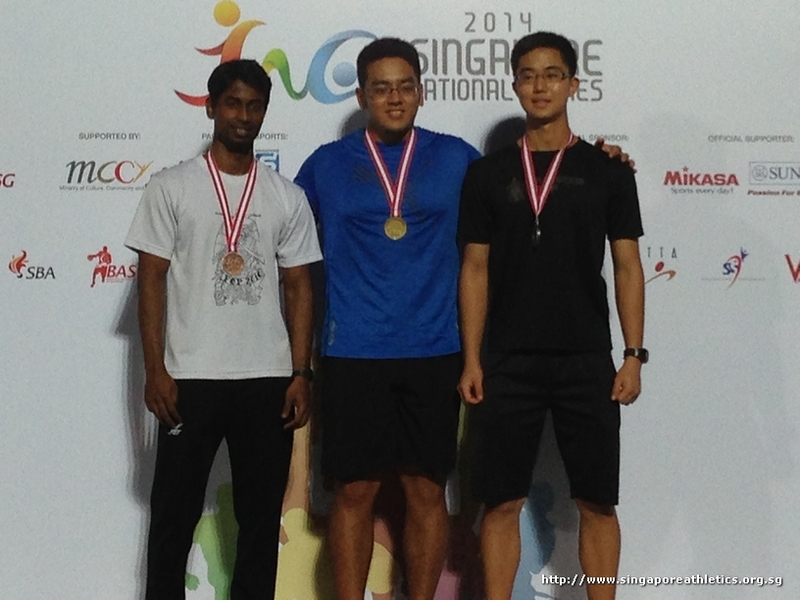 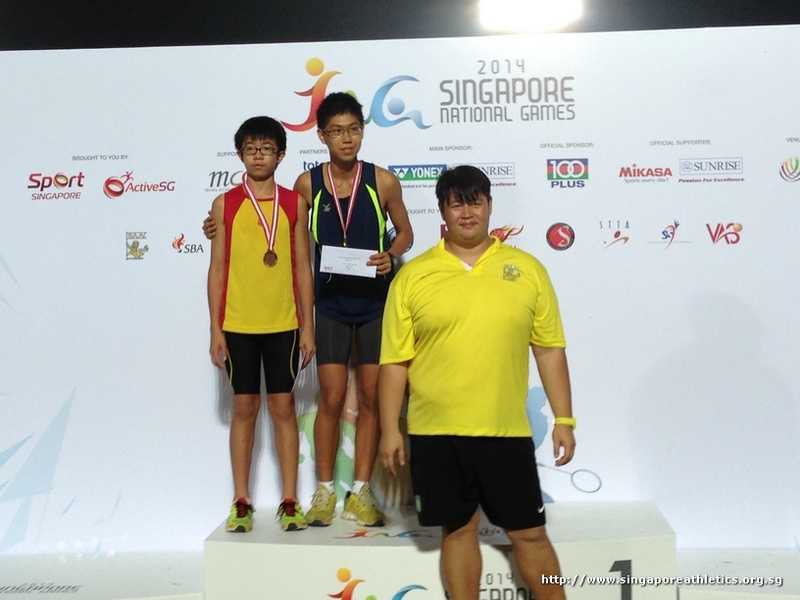 Benny Lam finished ahead in the men open shot put, a gold for North East, with 11.68m. 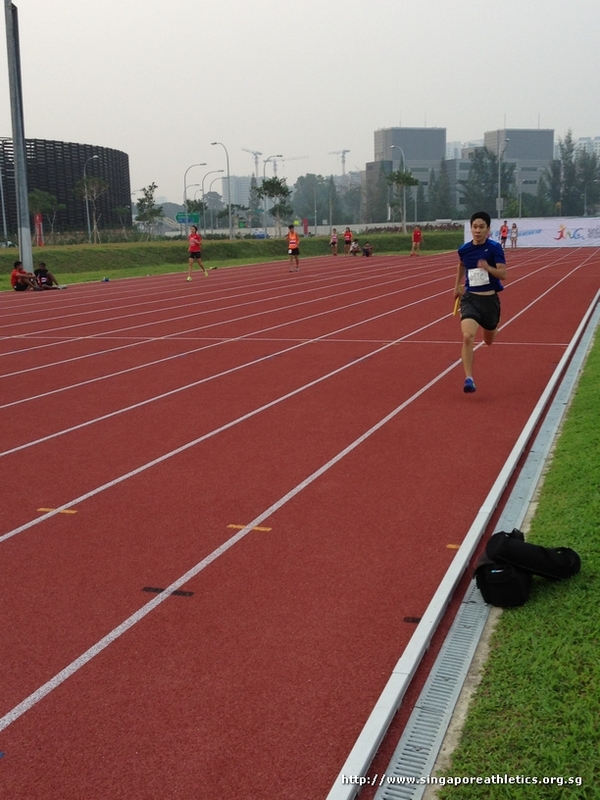 Men javelin throw has just commenced. 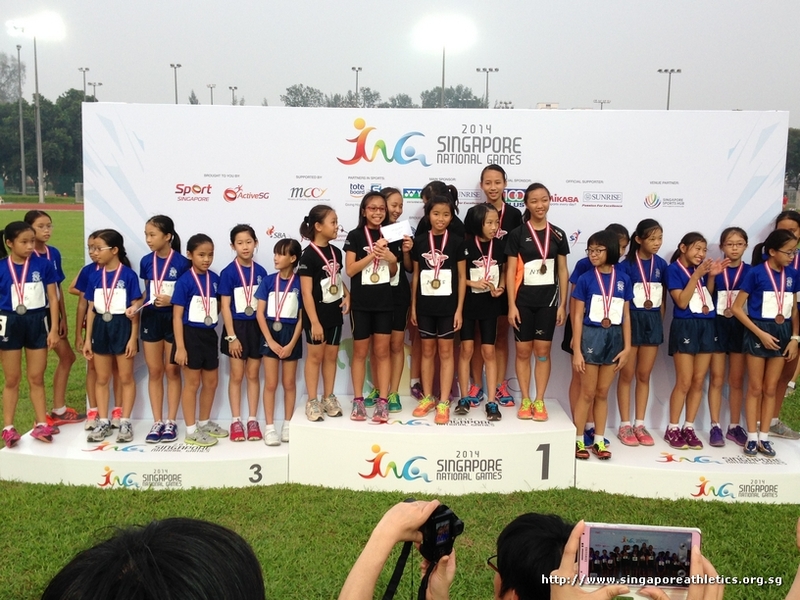 That is your 8×80 Girls Kids final event won by NYPS (Unofficial). 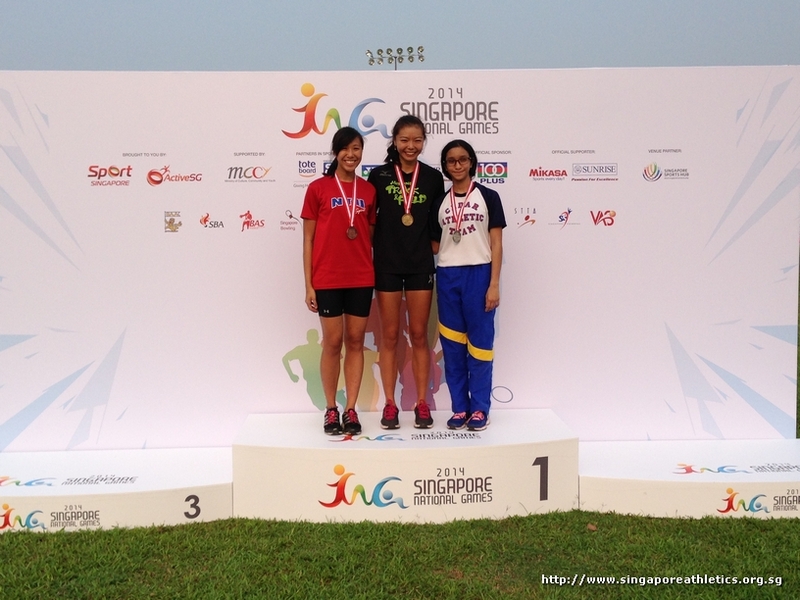 Award ceremony for women high jump. 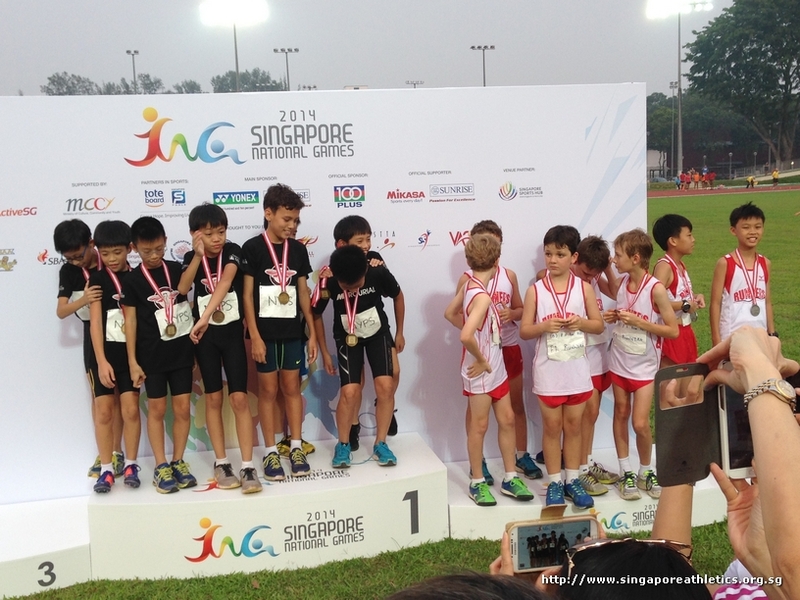 The exciting 8x80m boys kids final won by NYPS (Unofficial). 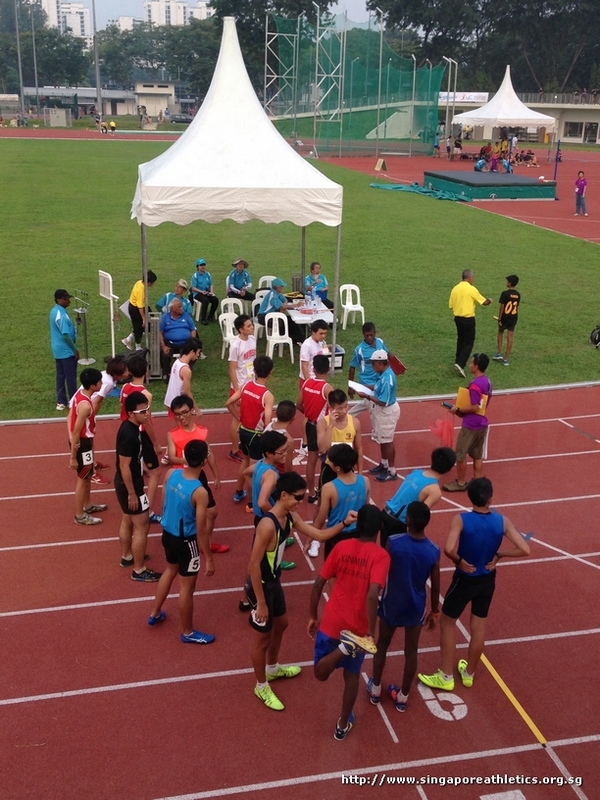 The women 4x400m event is on-going. 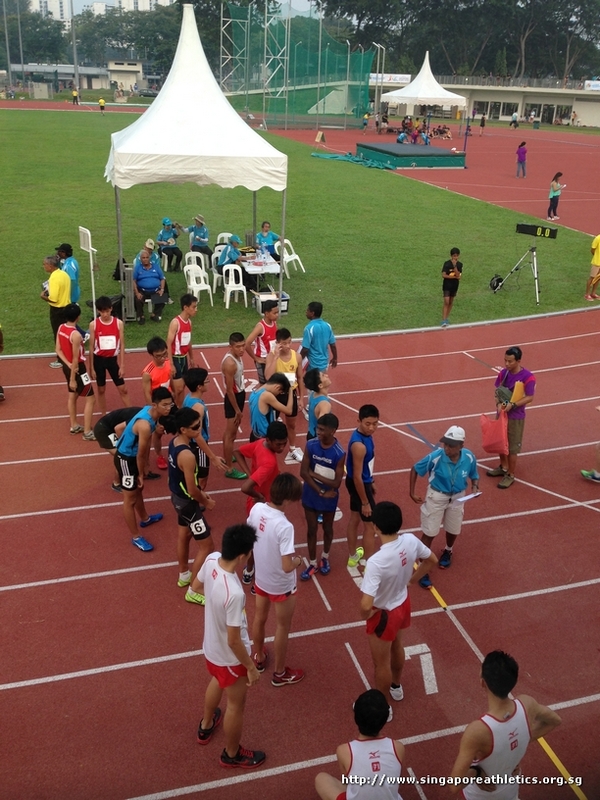 The always exciting change over relay baton passing for the men 4x400m event. 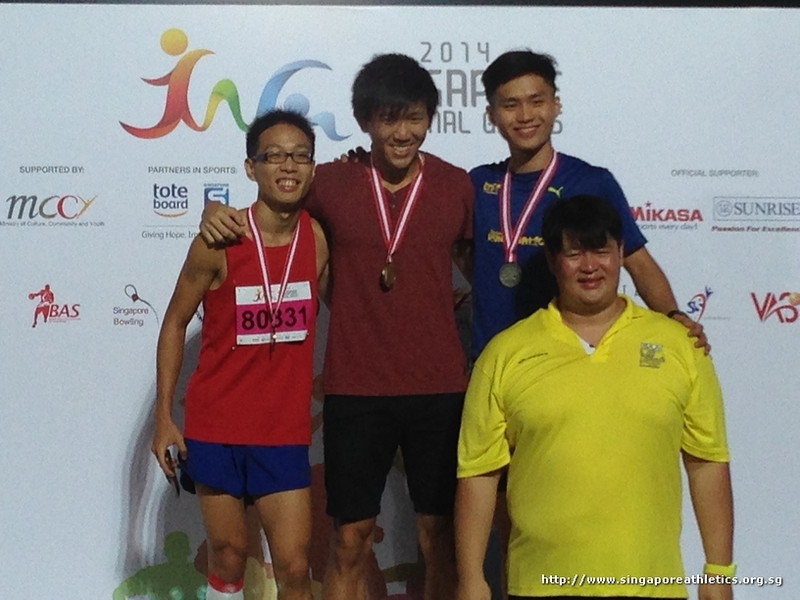 Ronnie Cai of Central bows out of men high jump open final with 1.90m unsuccessful attempt. 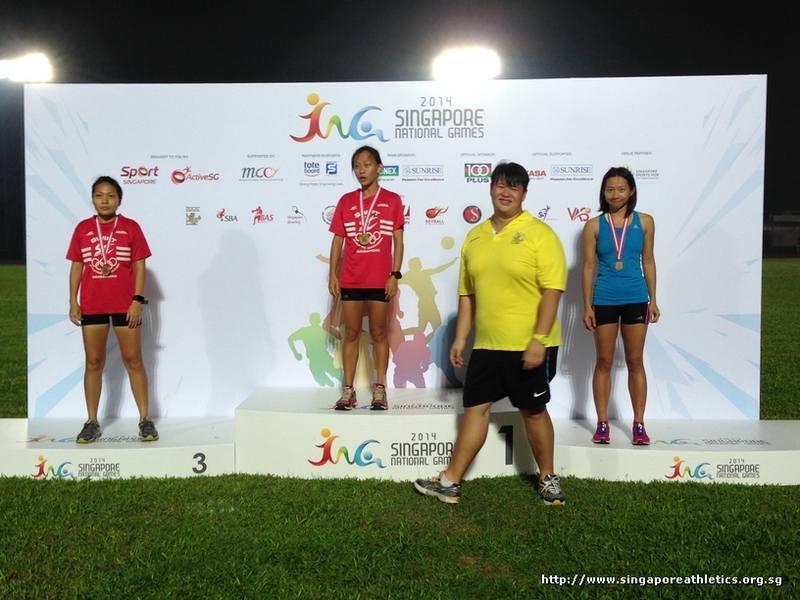 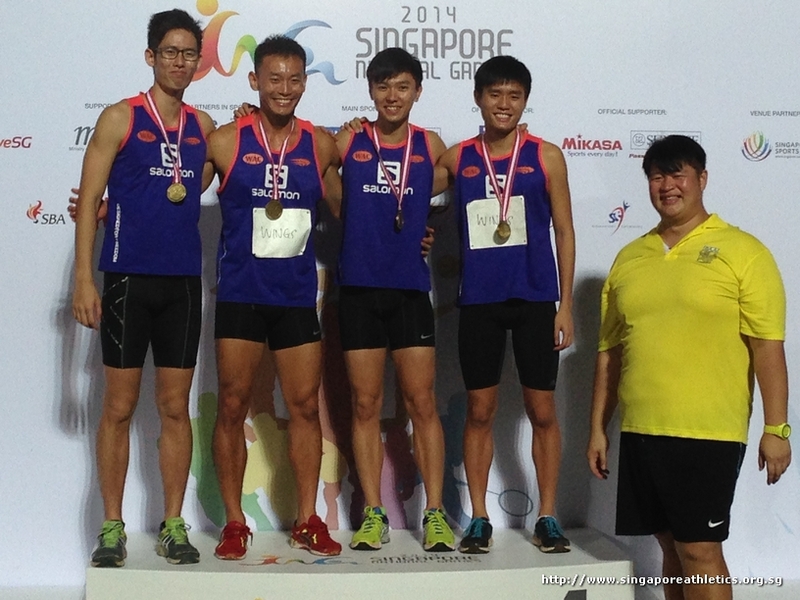 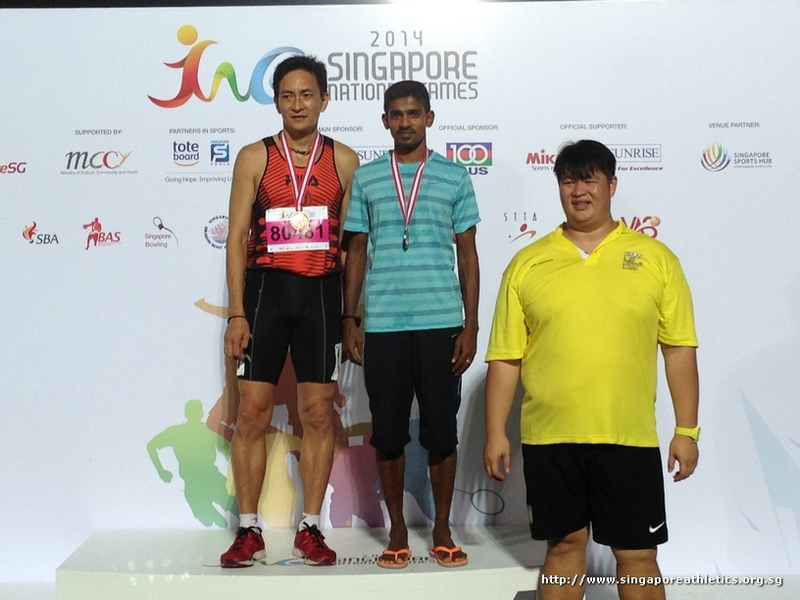 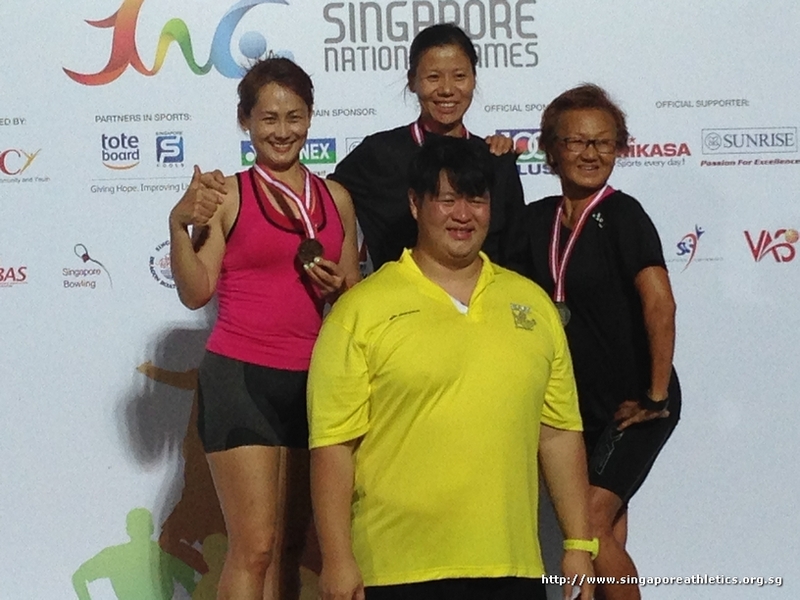 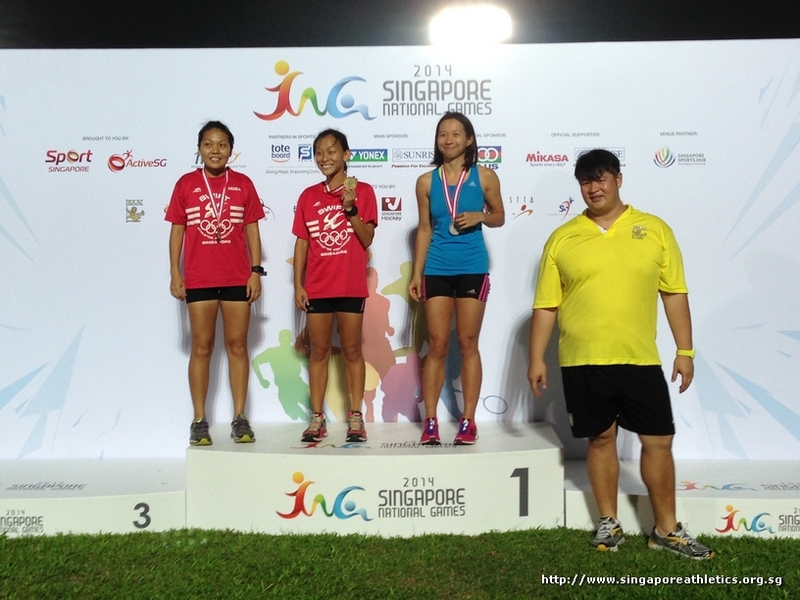 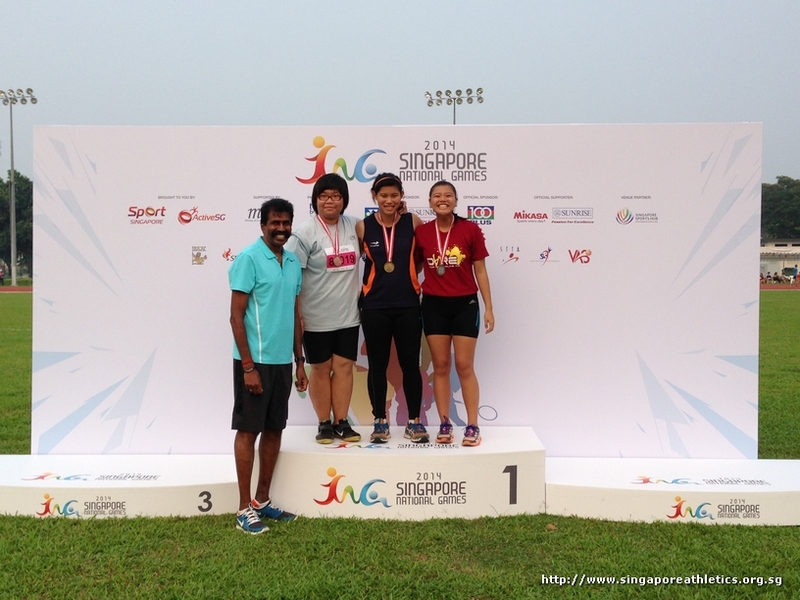 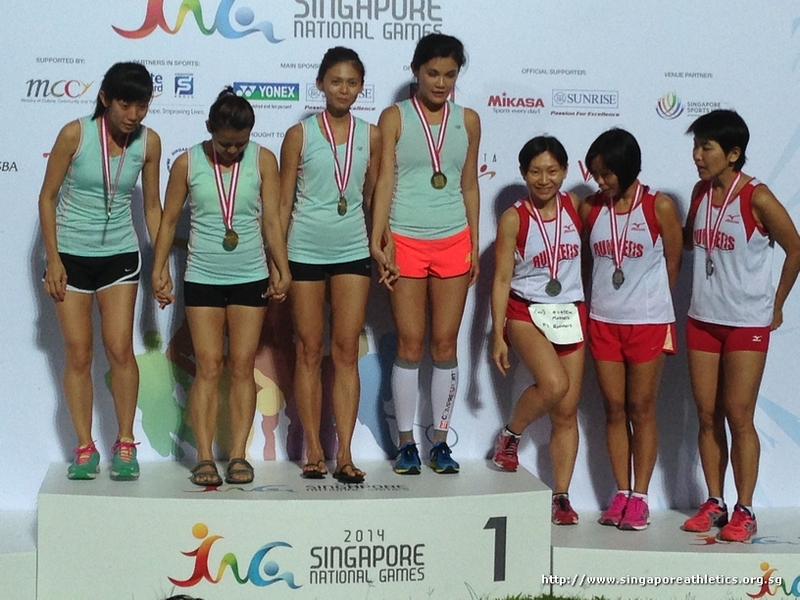 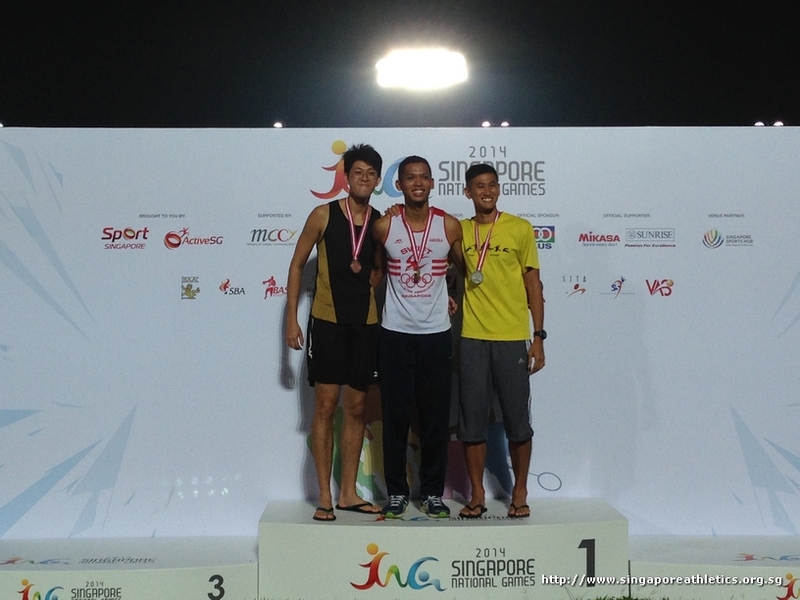 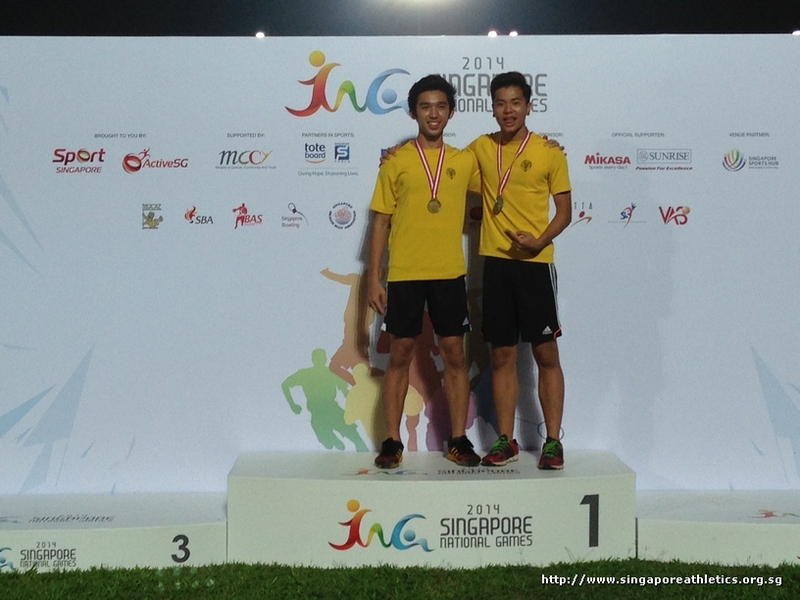 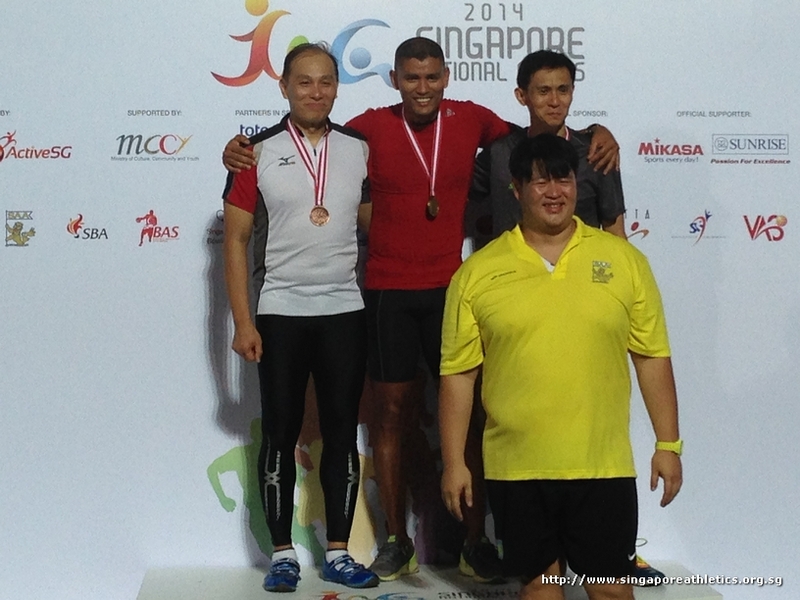 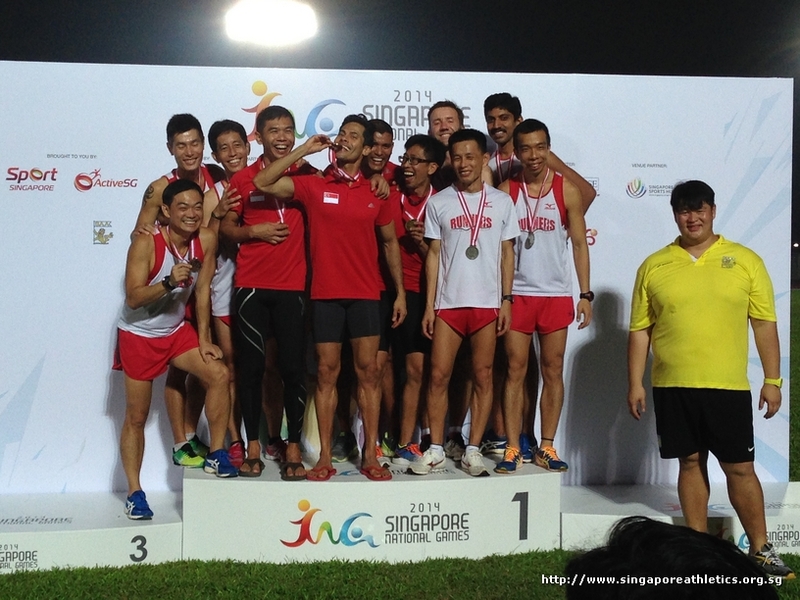 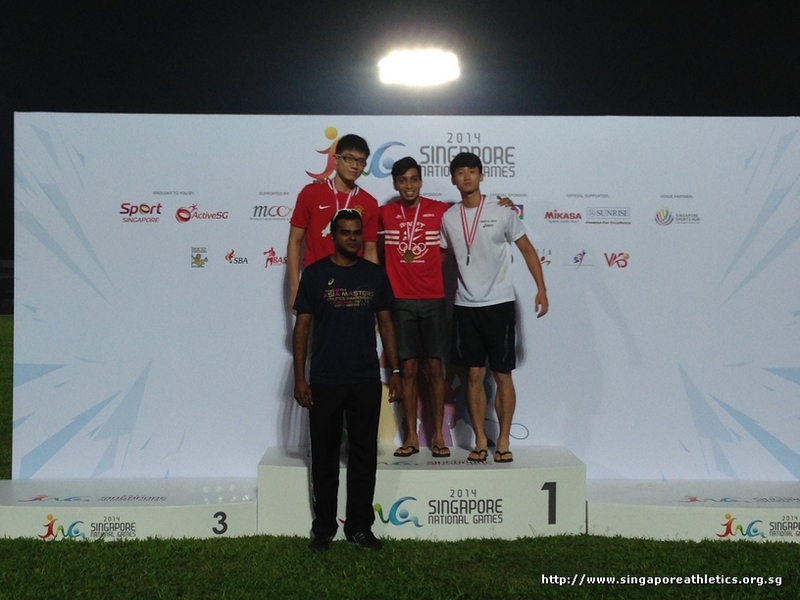 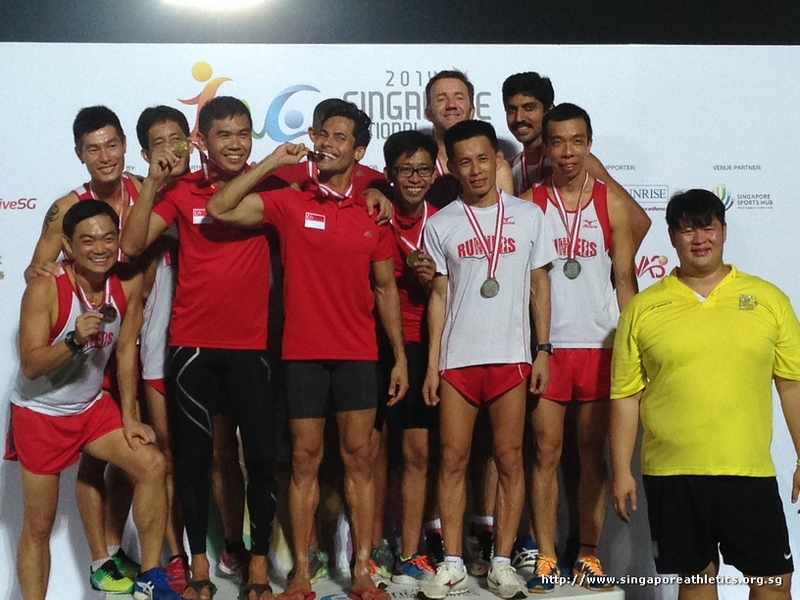 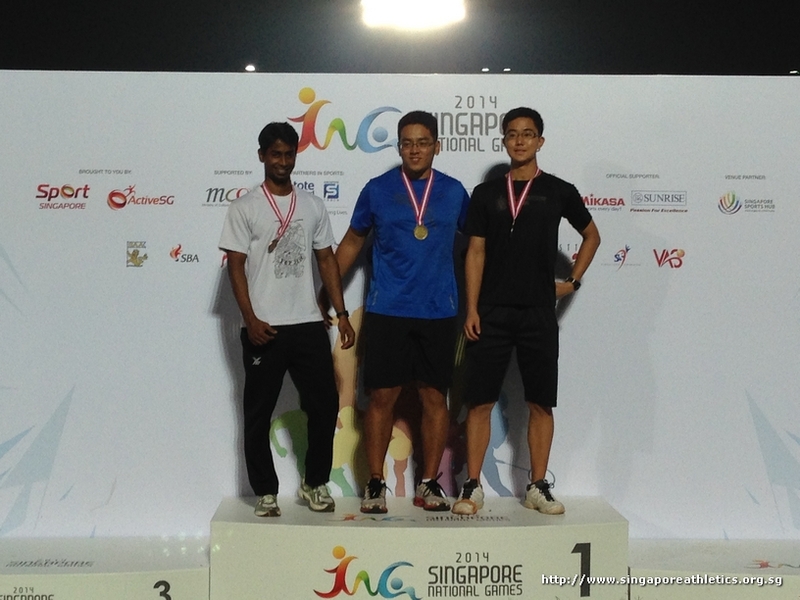 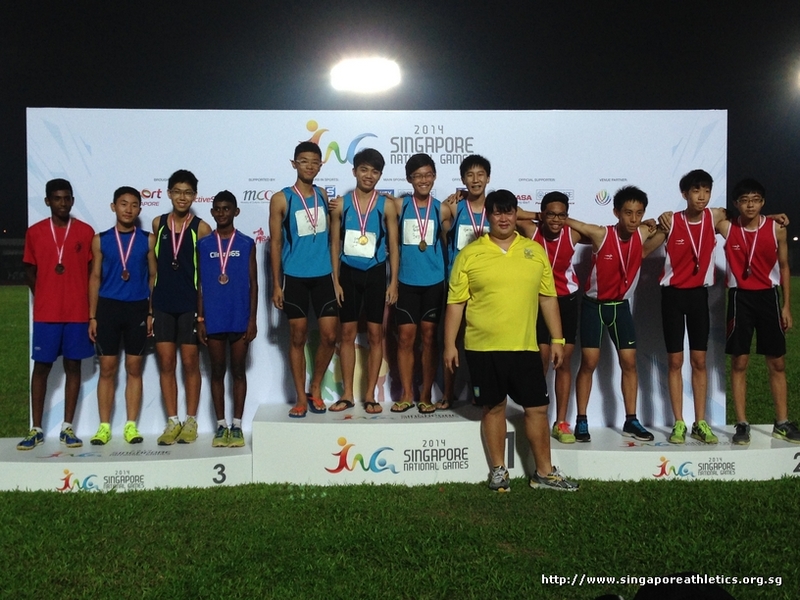 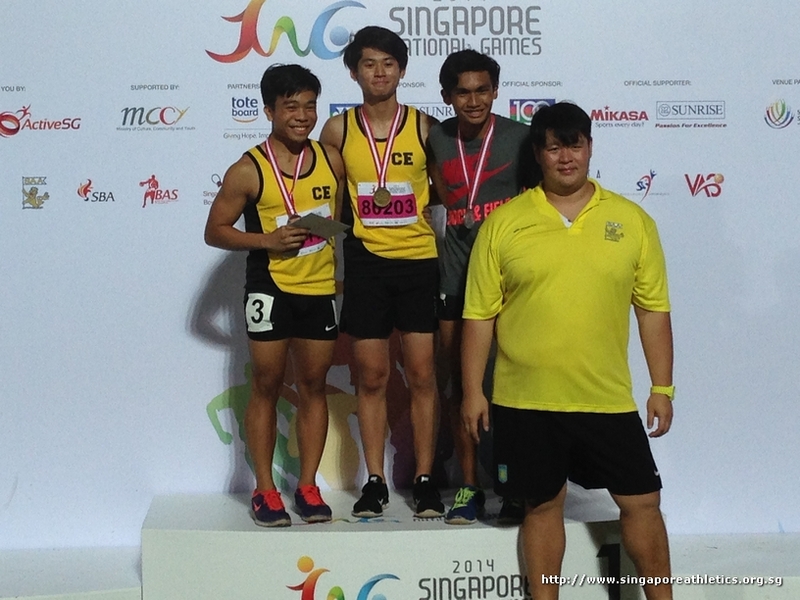 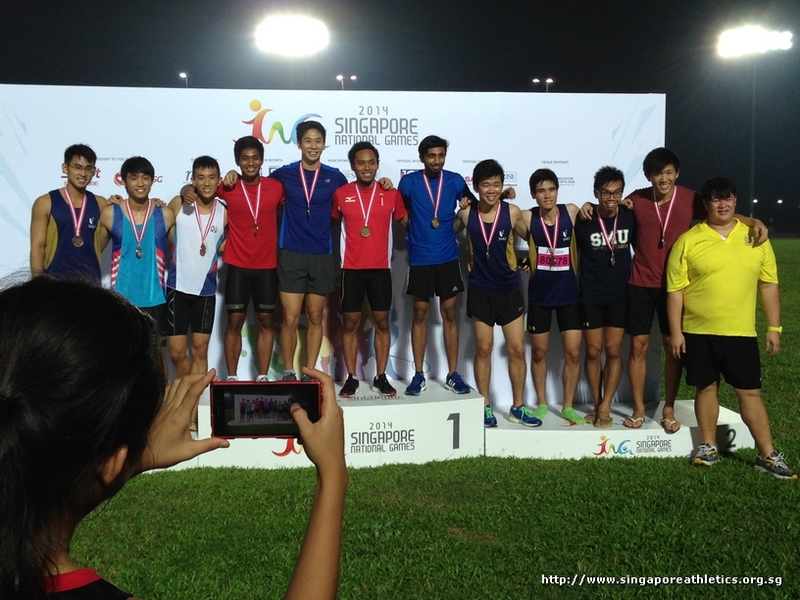 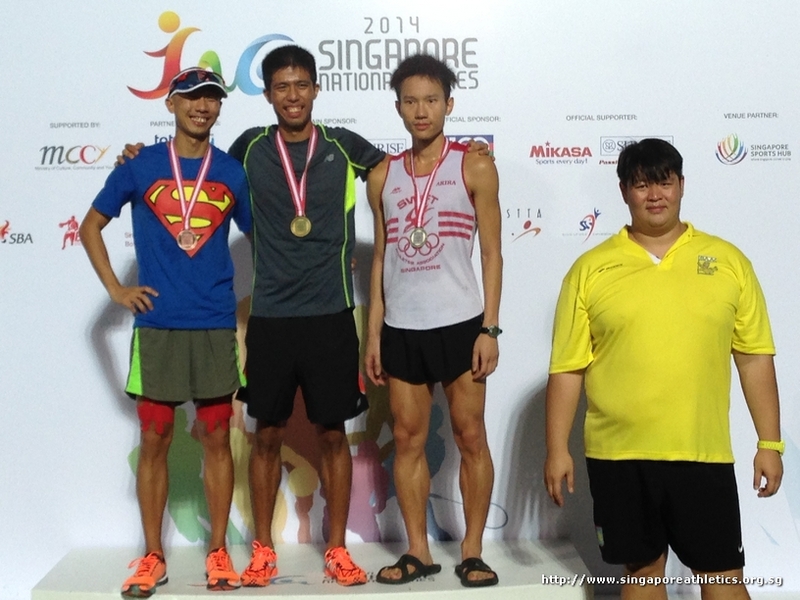 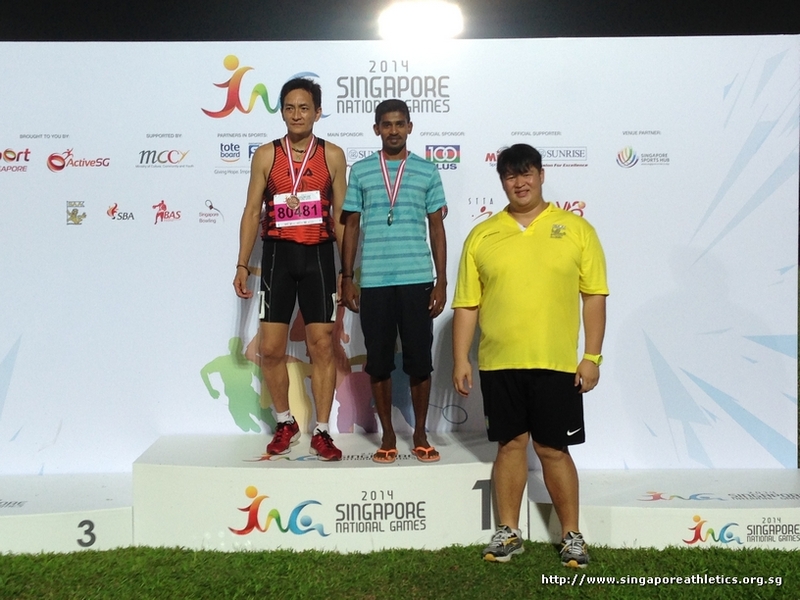 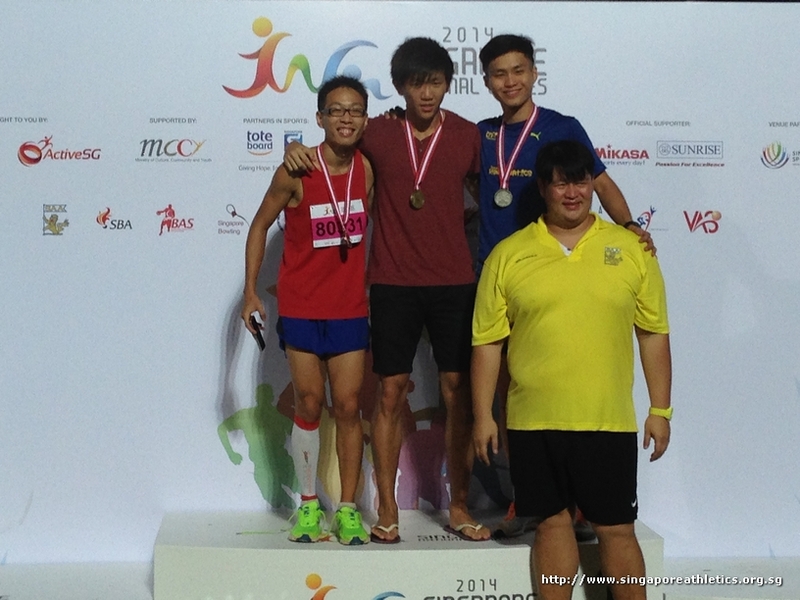 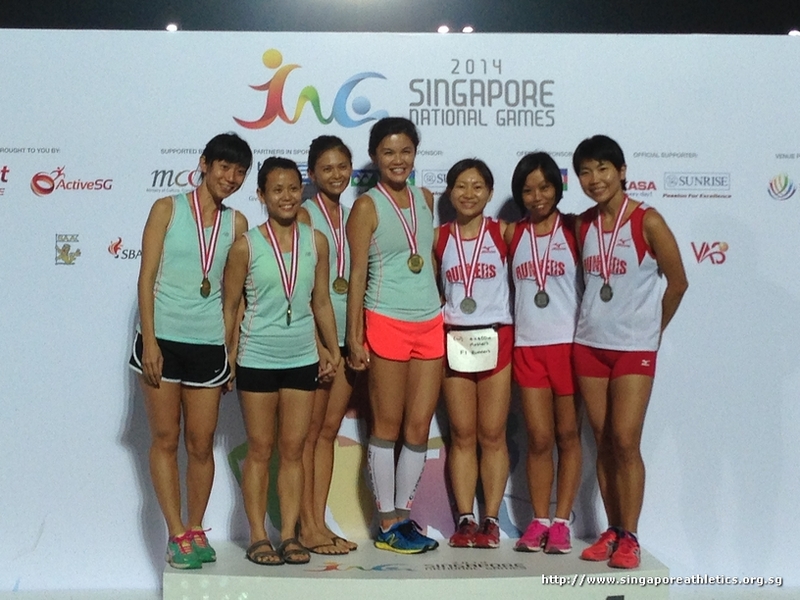 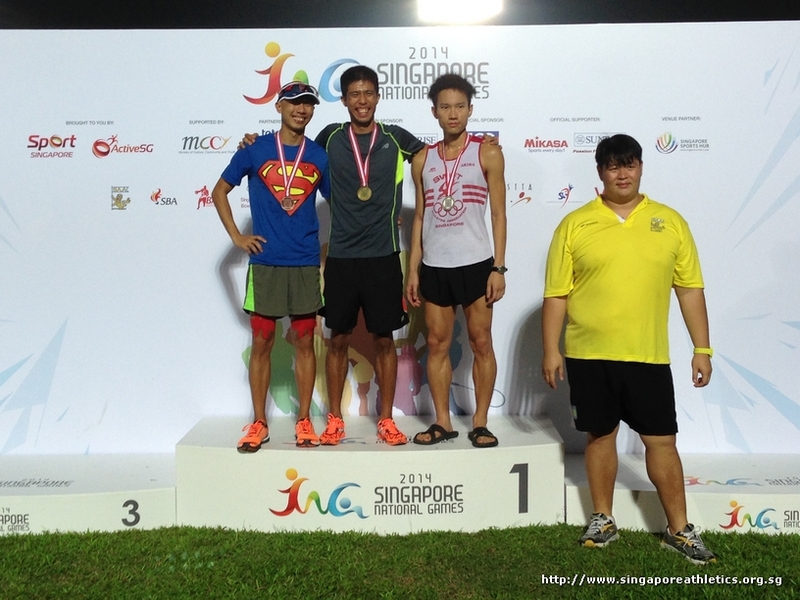 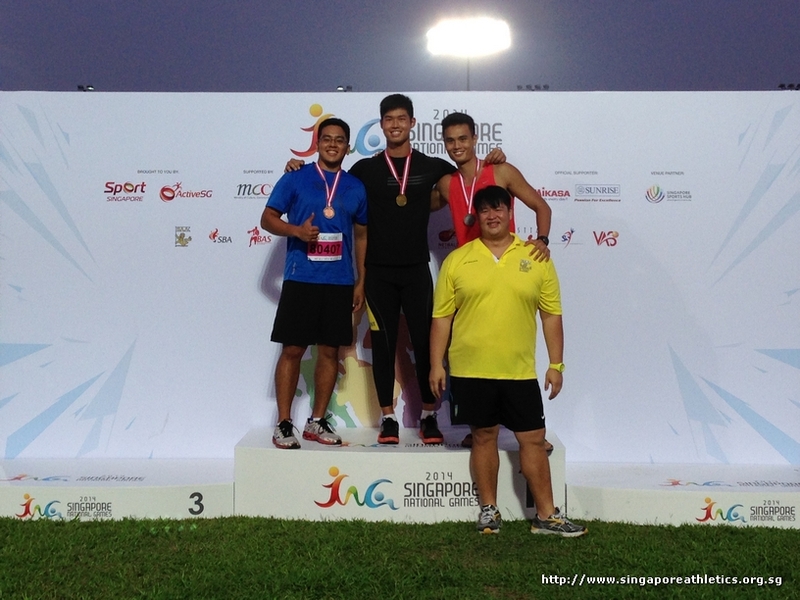 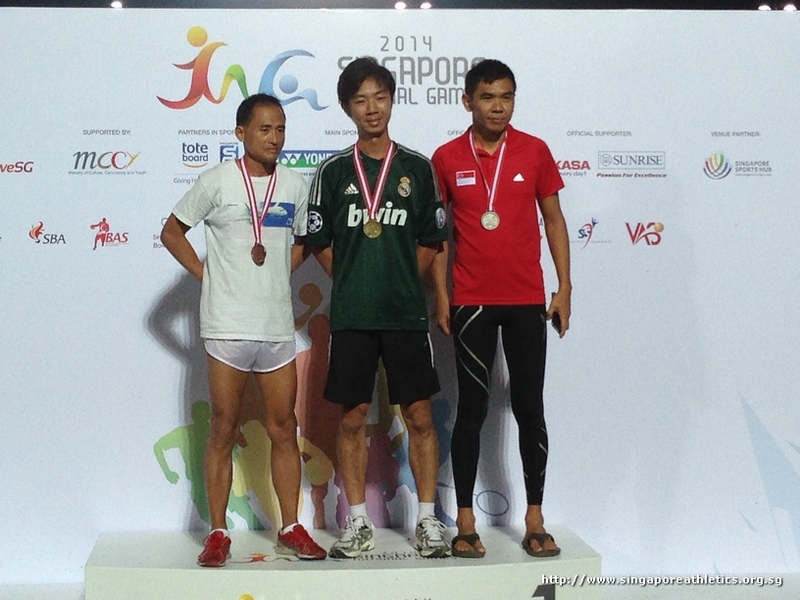 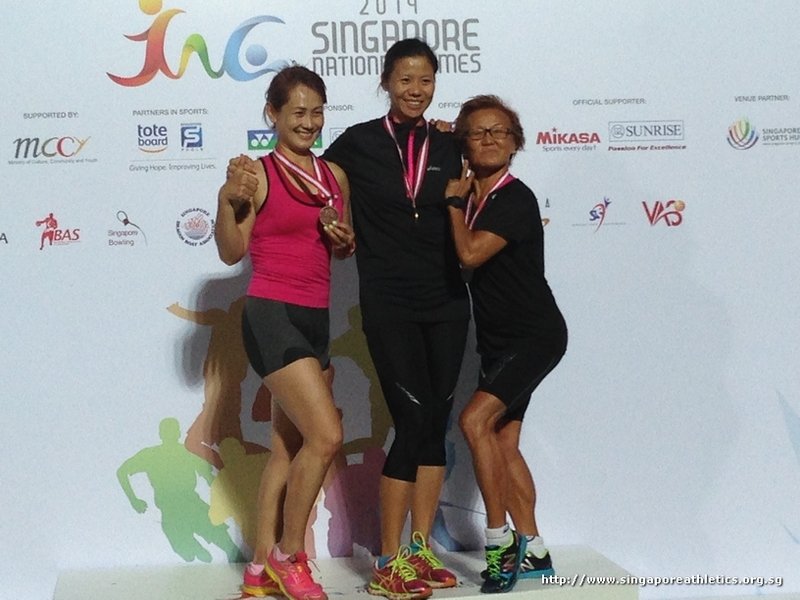 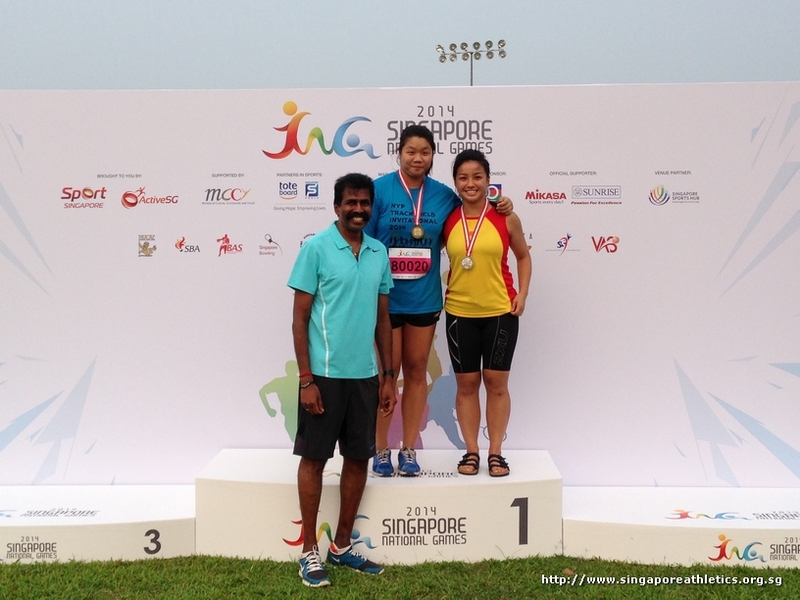 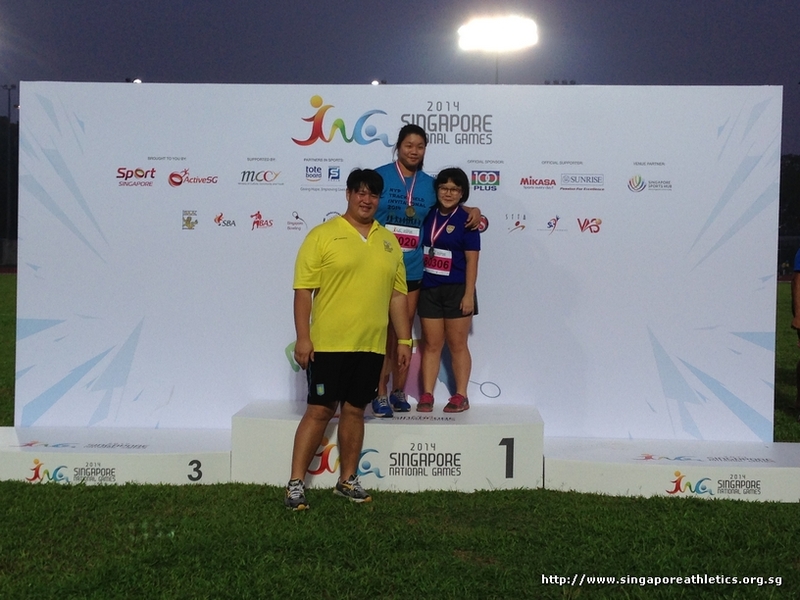 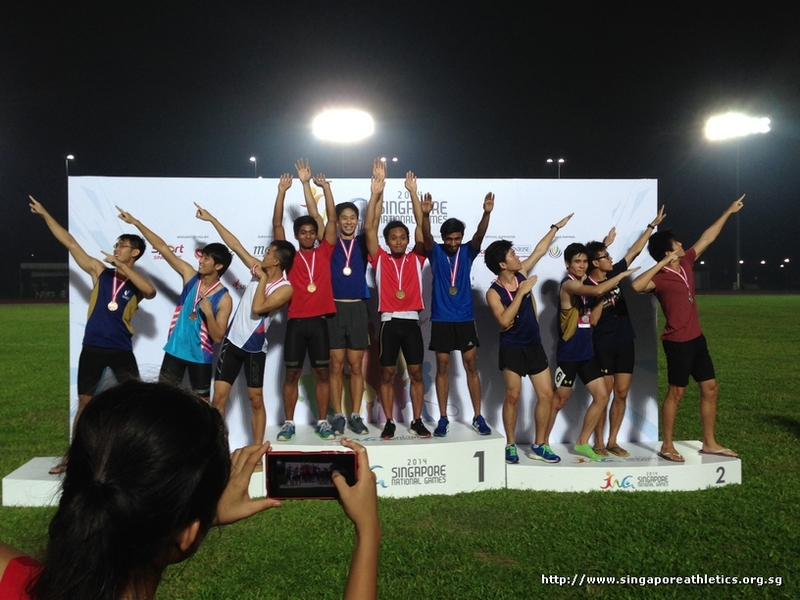 4x400m Masters event won by Spore Masters Team, 4:04min. 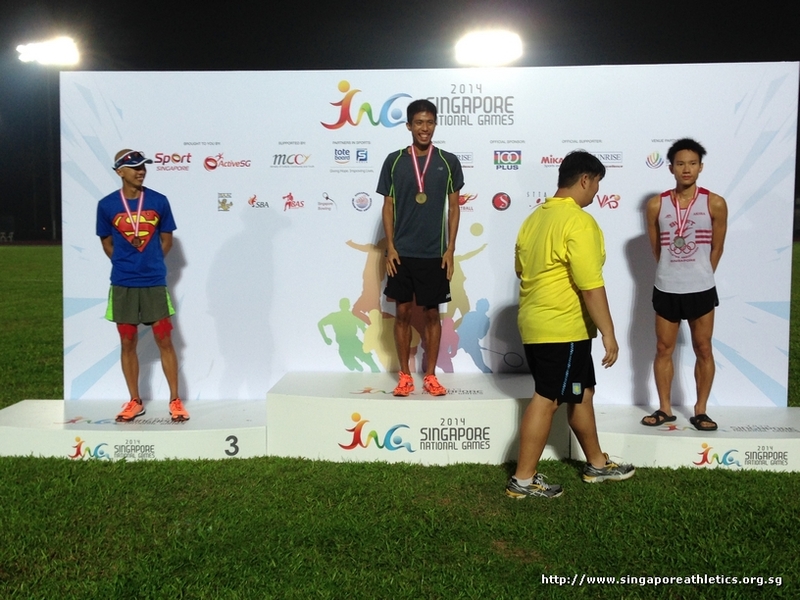 Unofficial timing. 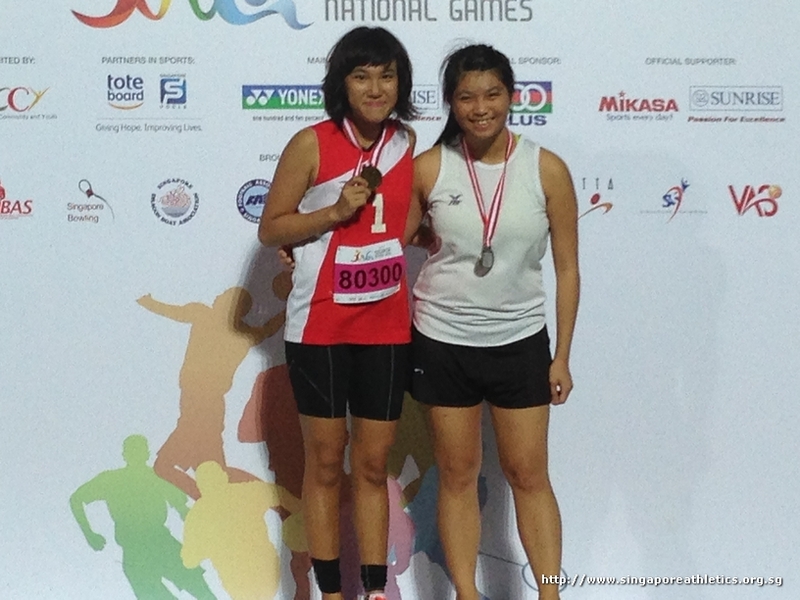 Women long jump event on-going. 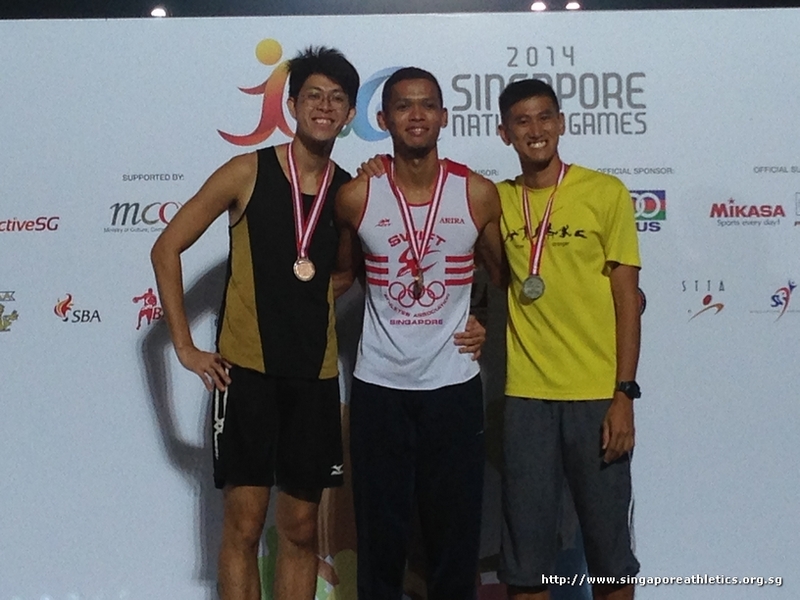 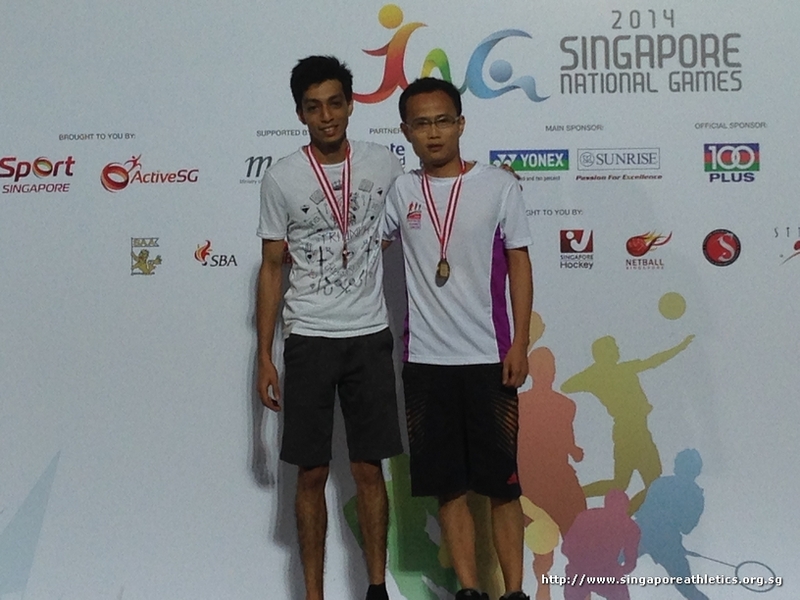 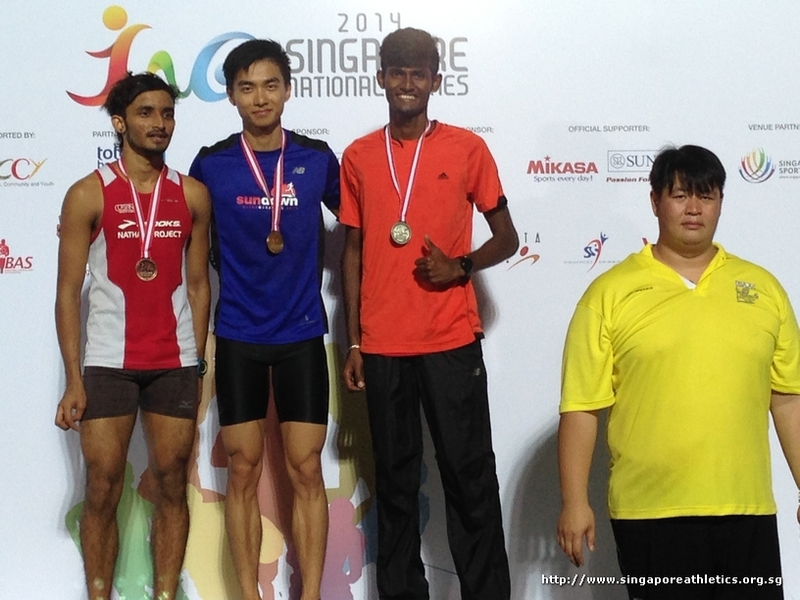 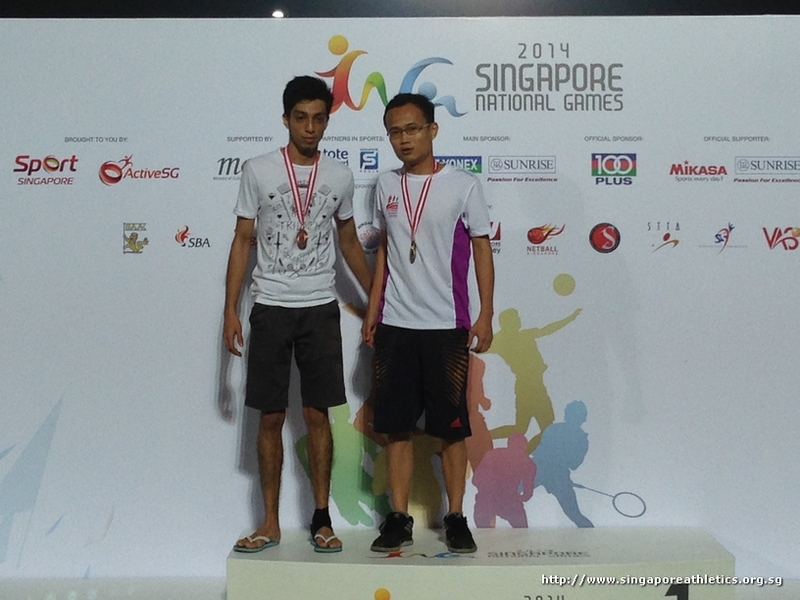 Md Nasirudin of North wins gold with an effort of 1.95m in the men open high jump event.